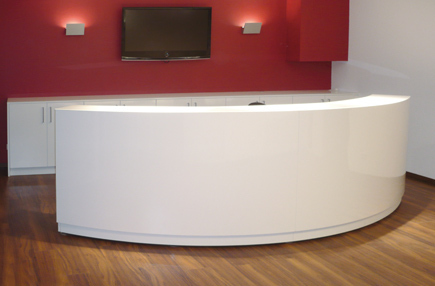 Pattern small reception desk, small and beautiful. 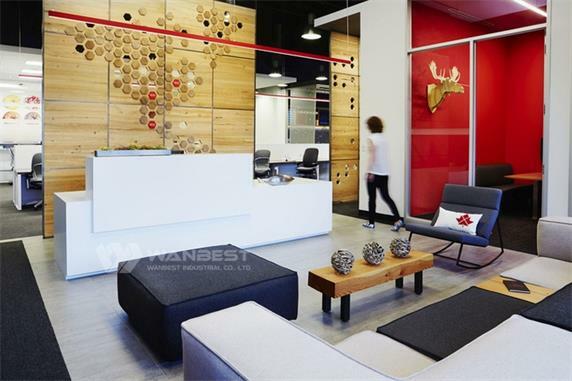 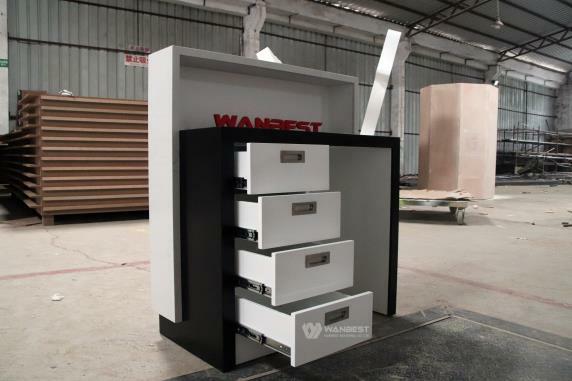 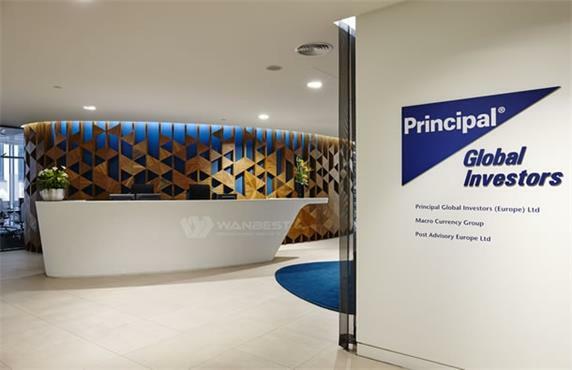 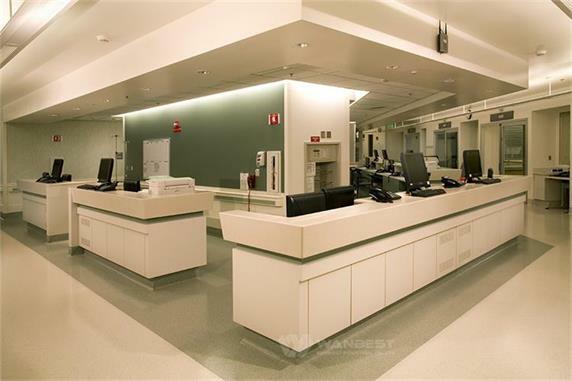 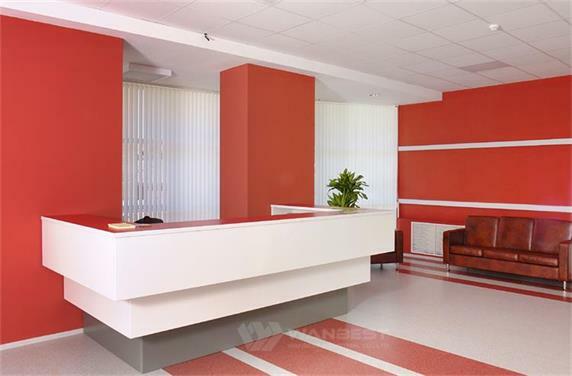 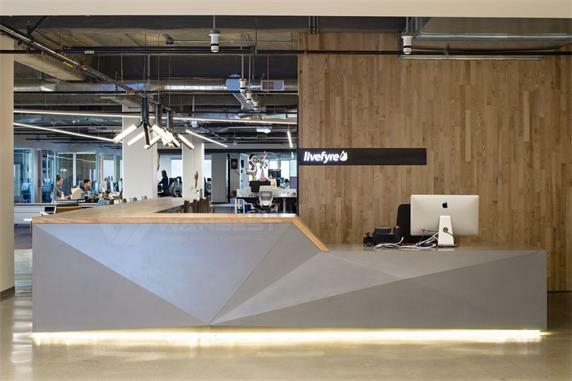 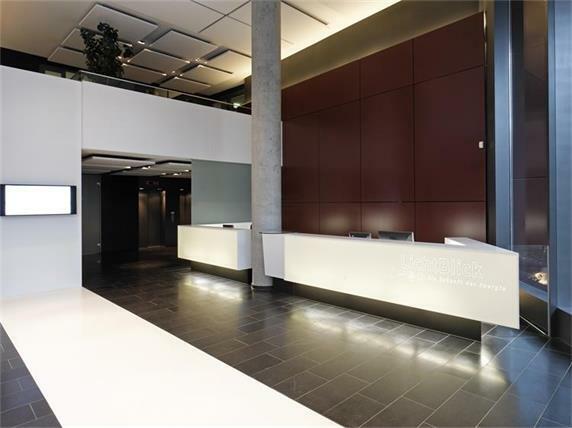 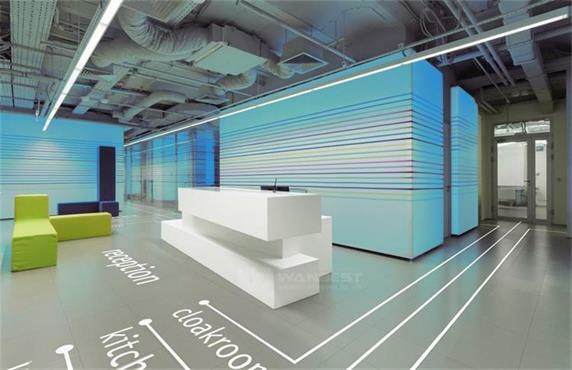 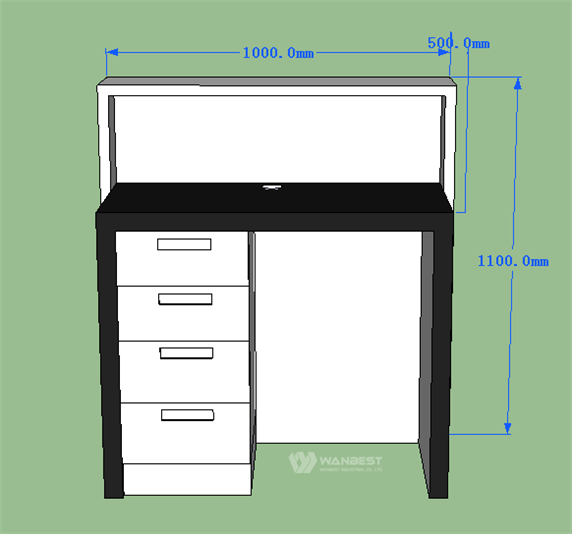 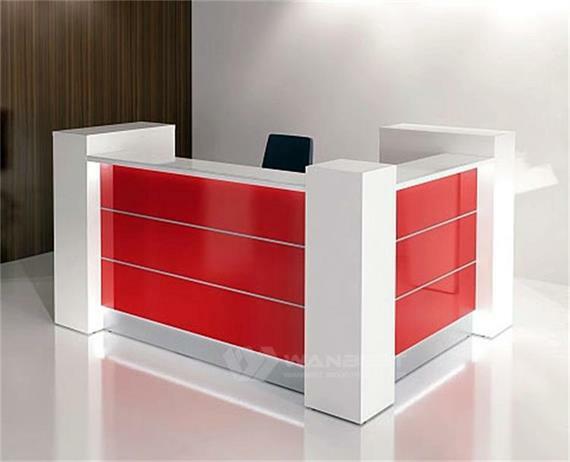 There are four drawers behind the reception desk for storing important documents. 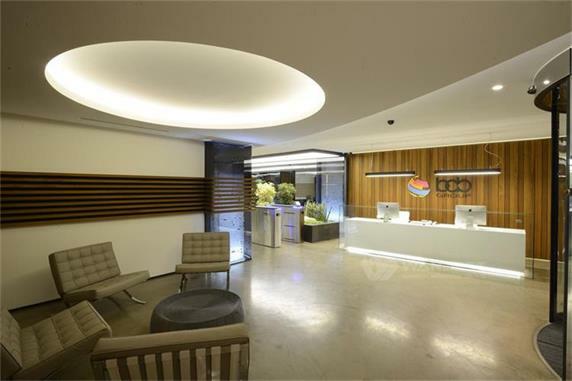 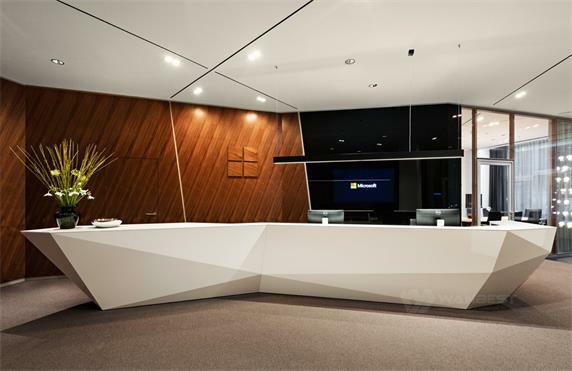 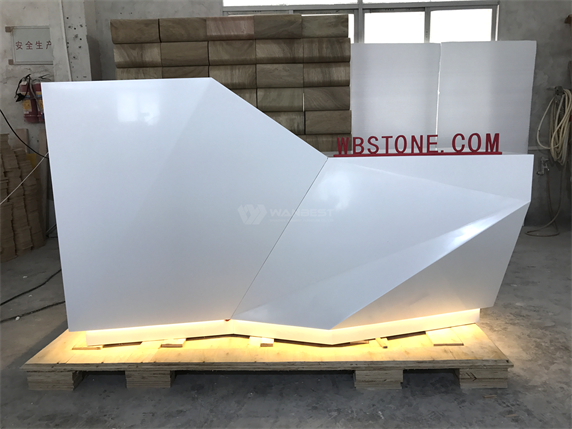 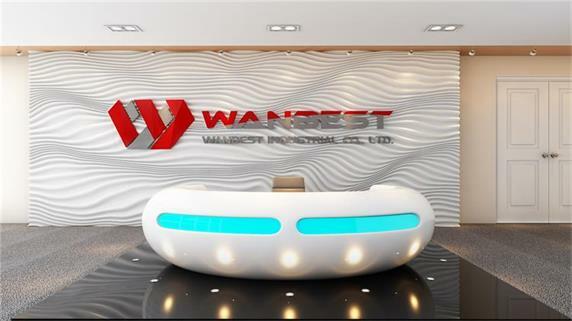 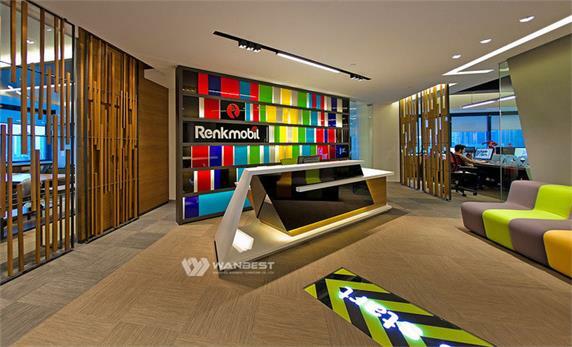 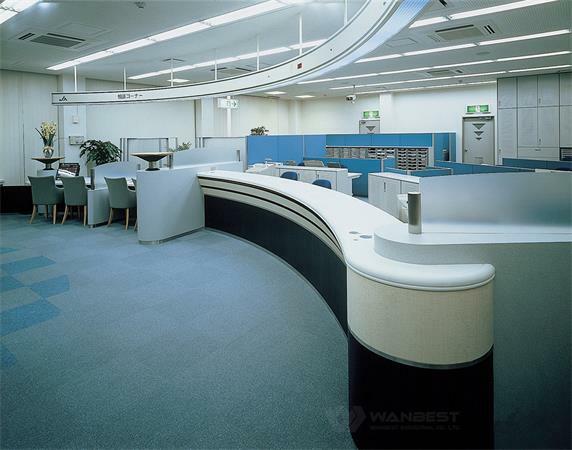 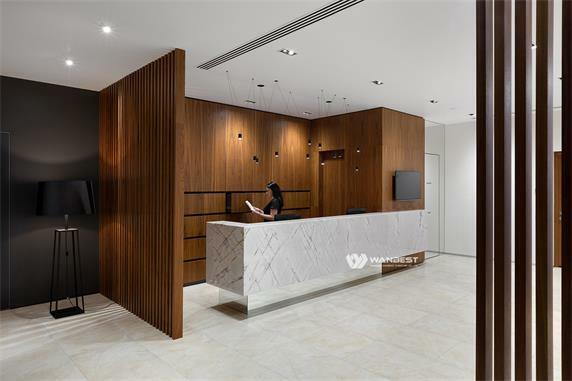 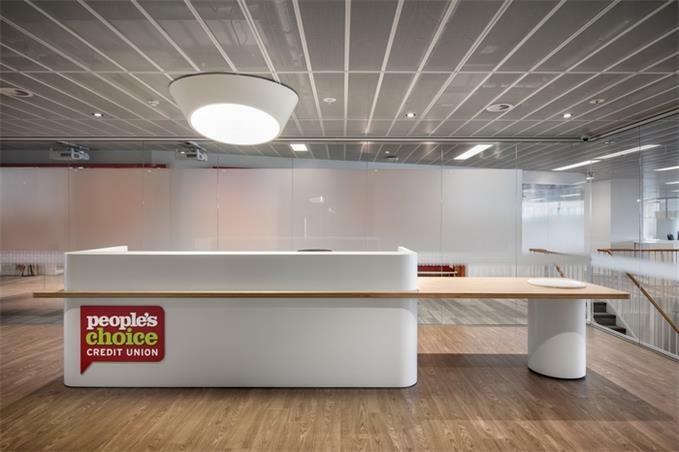 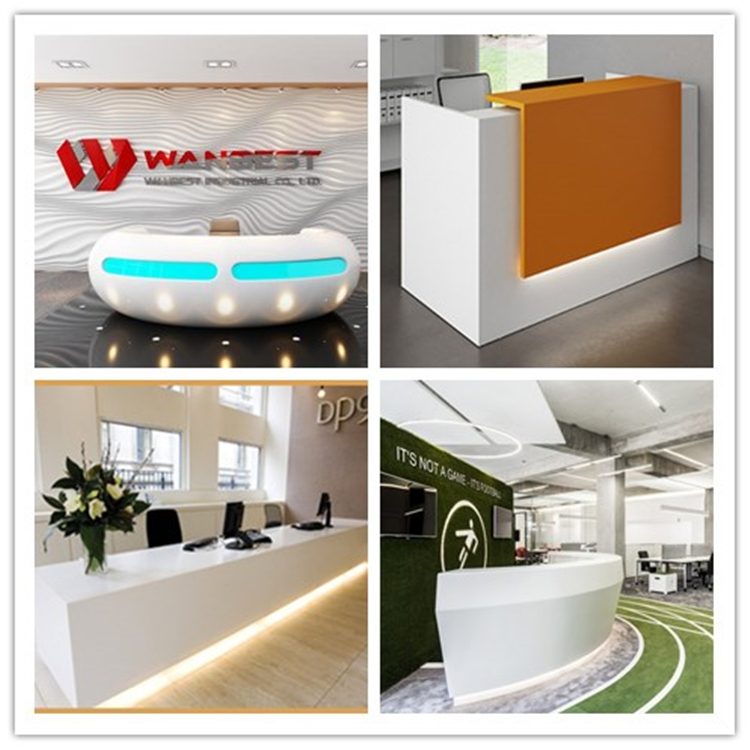 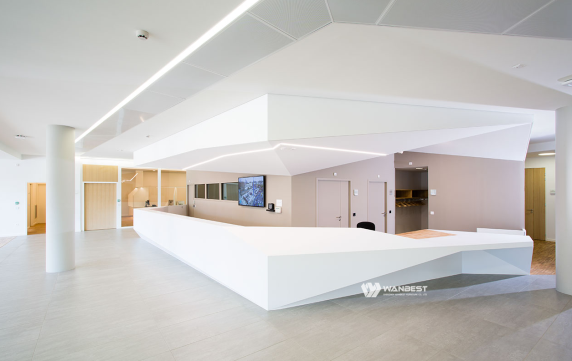 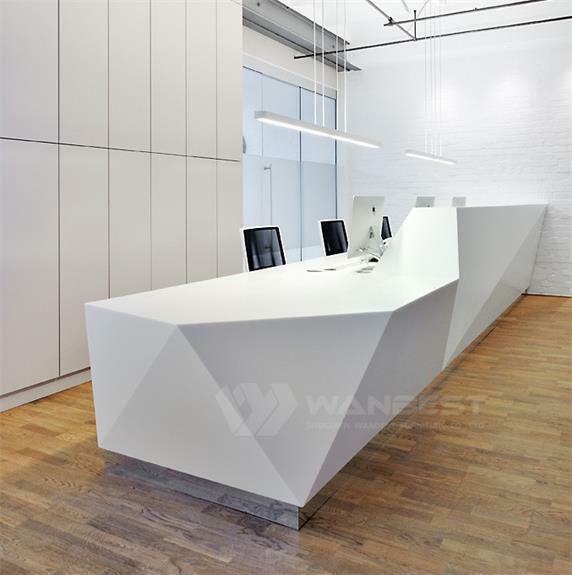 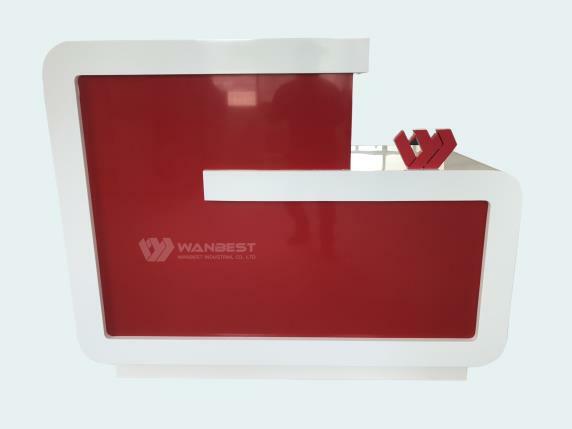 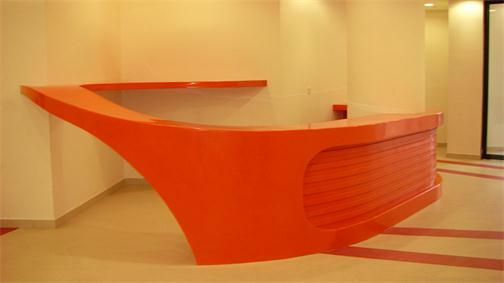 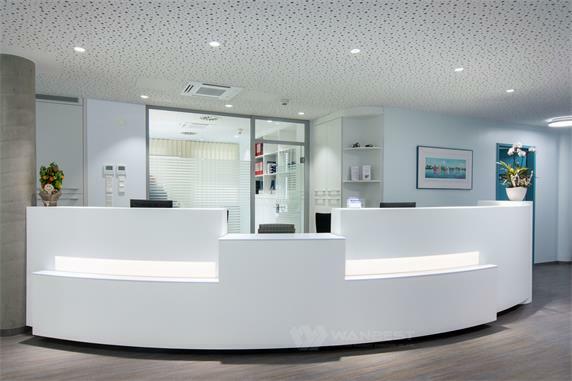 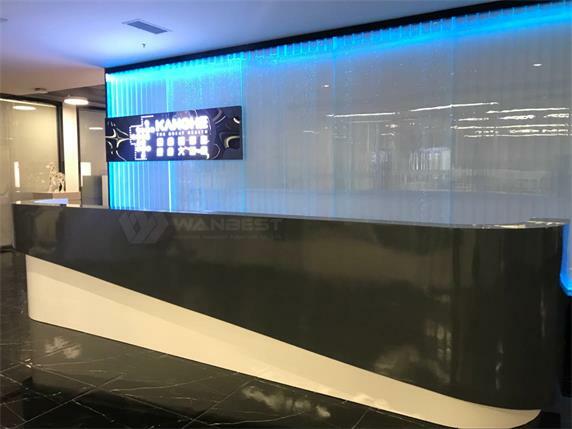 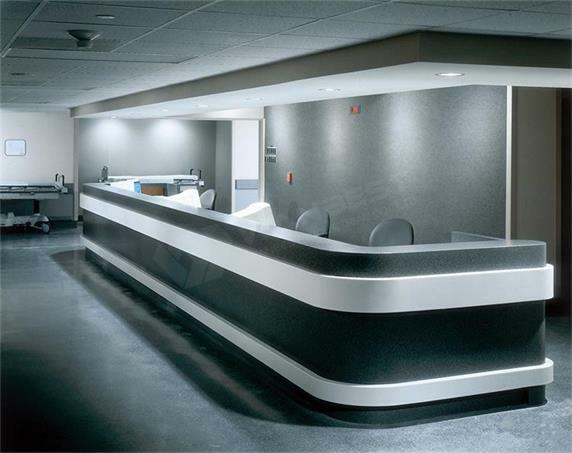 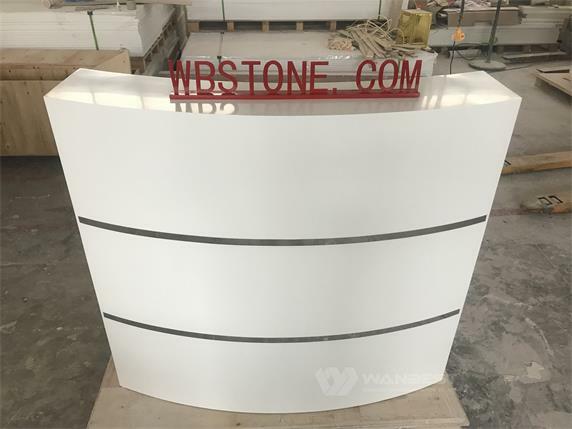 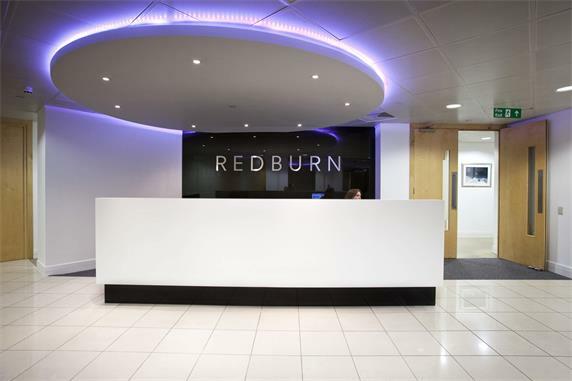 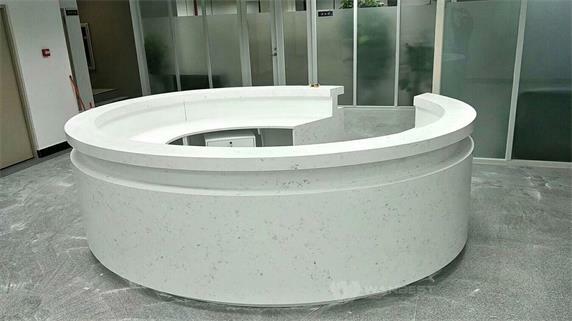 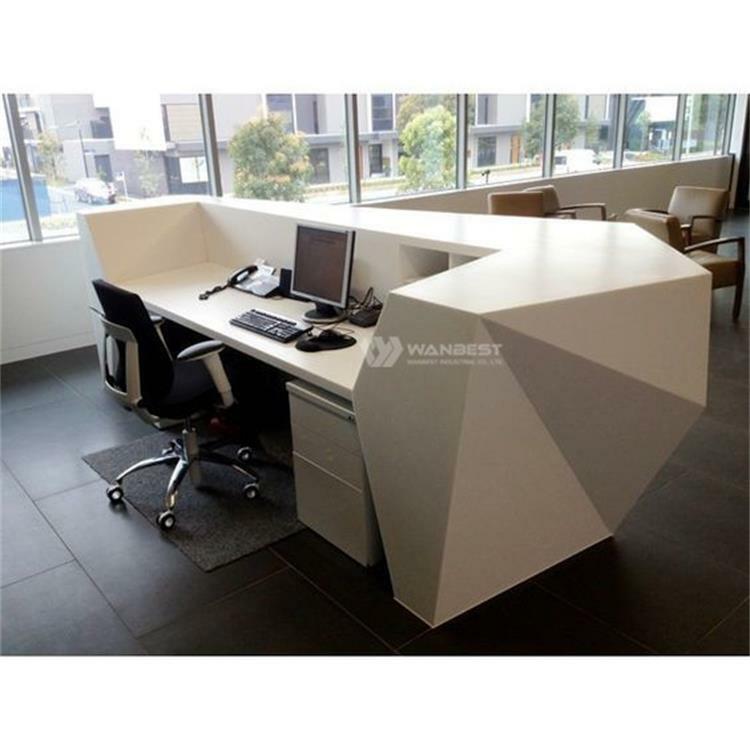 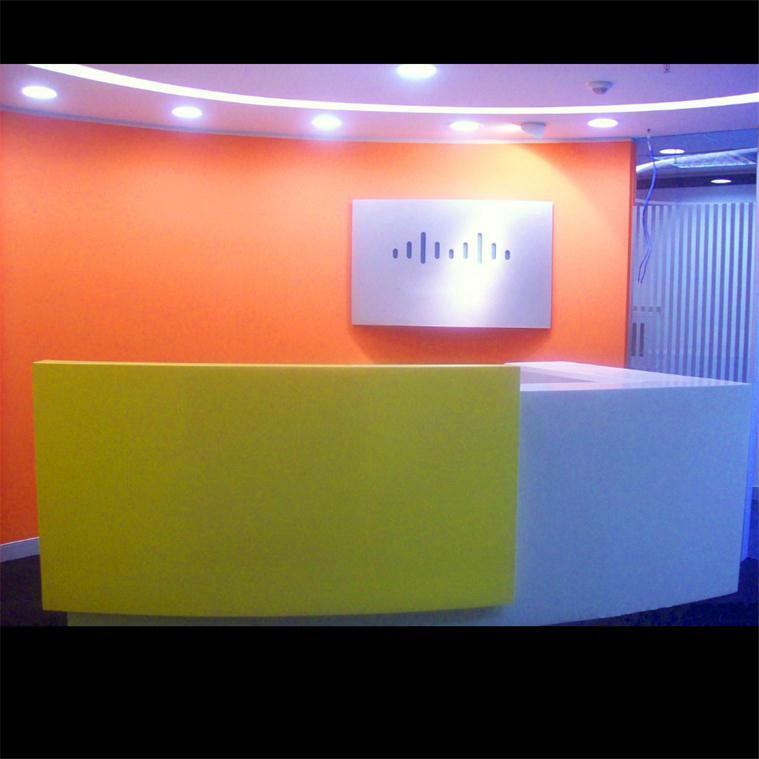 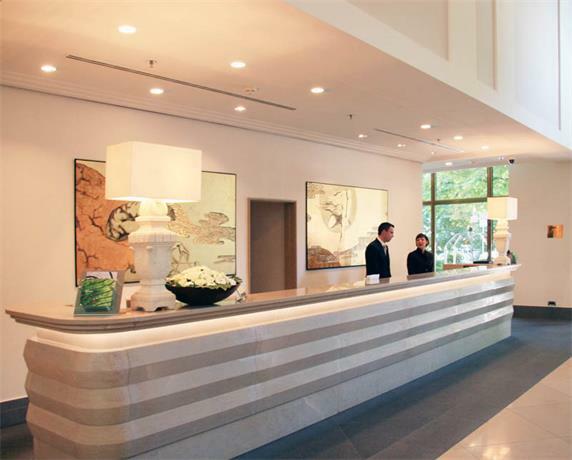 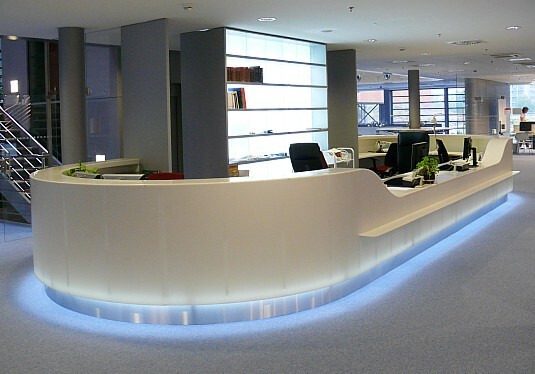 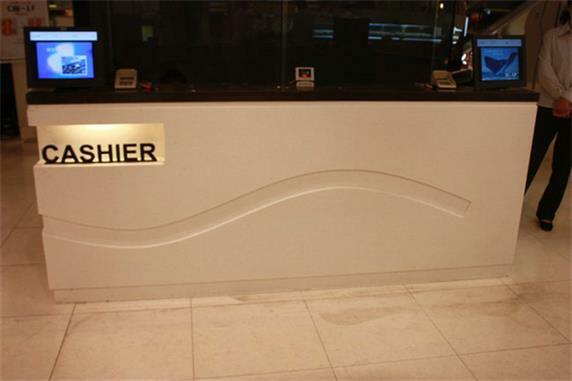 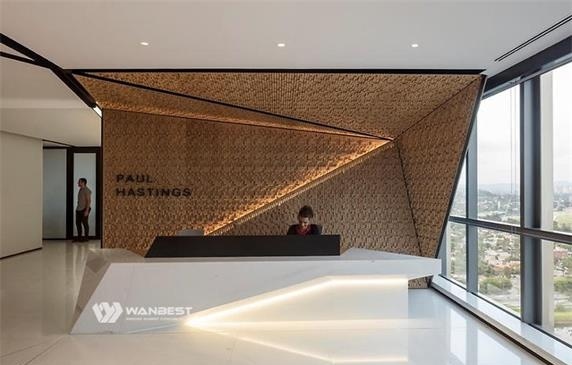 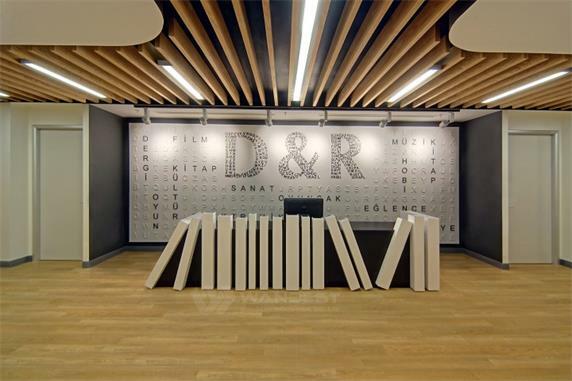 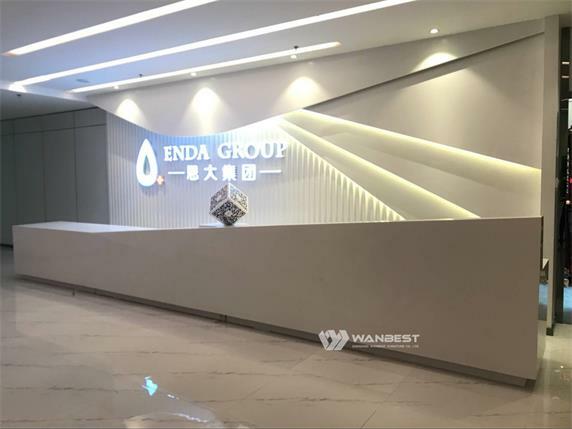 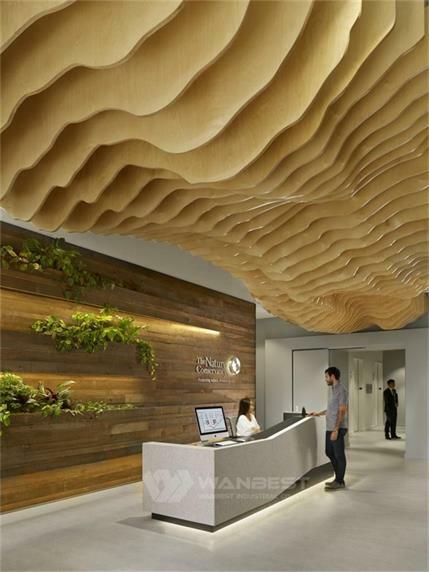 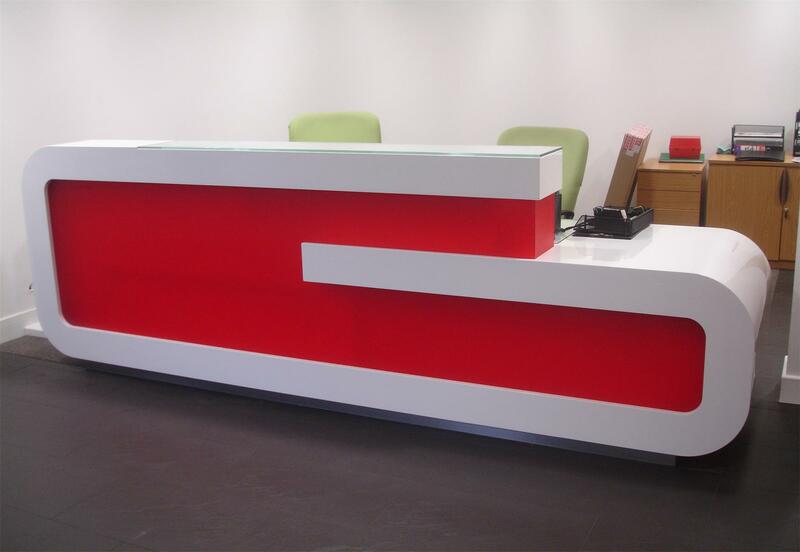 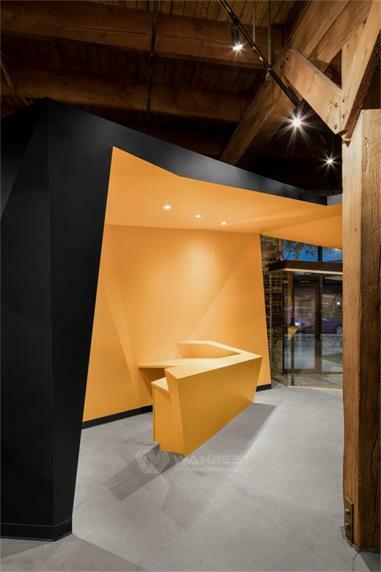 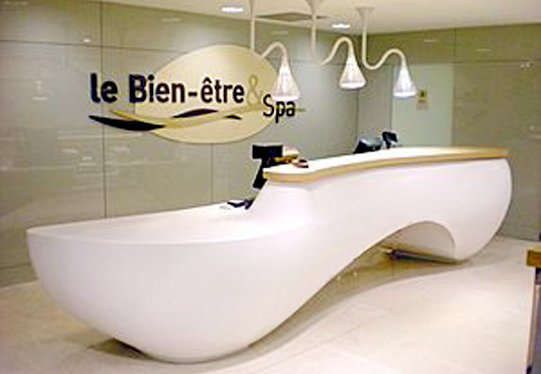 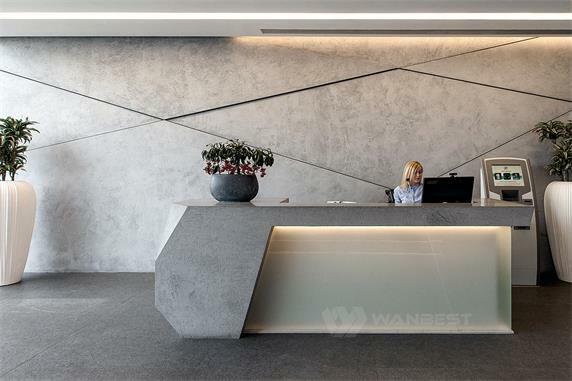 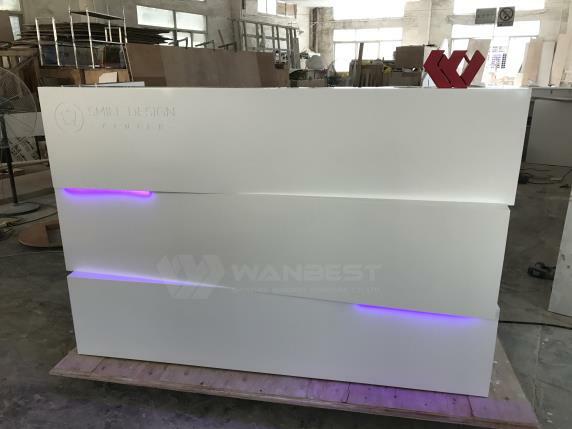 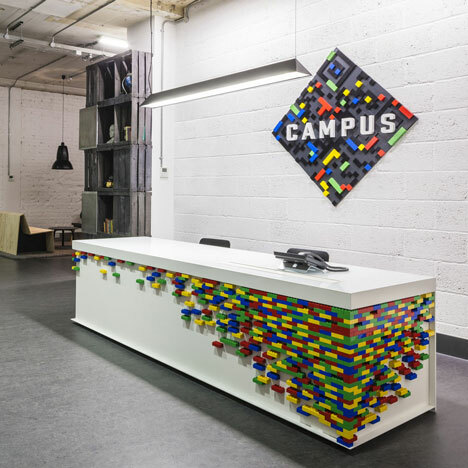 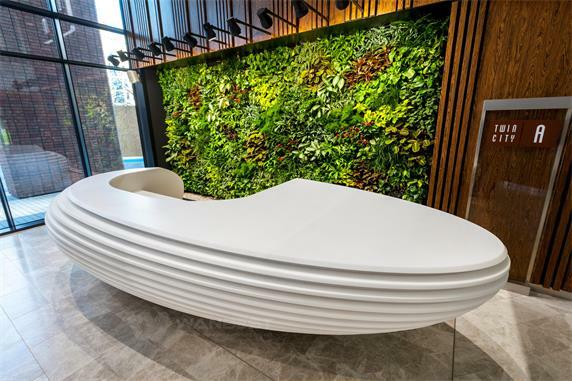 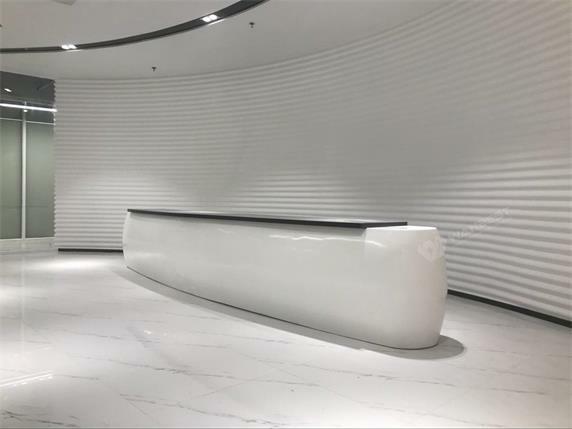 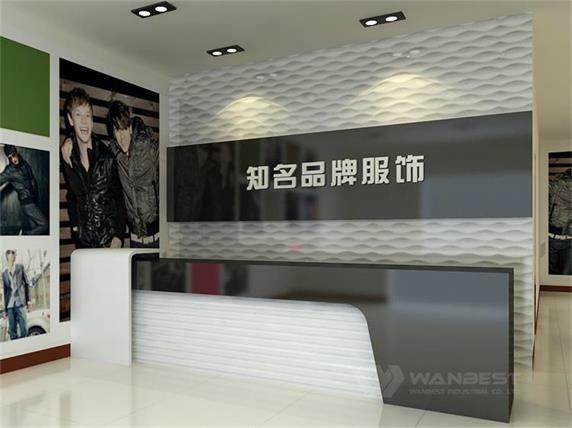 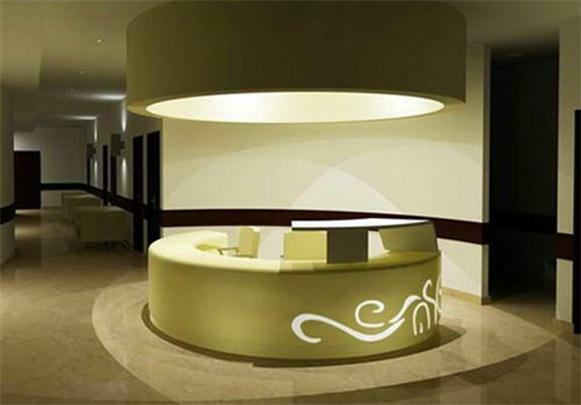 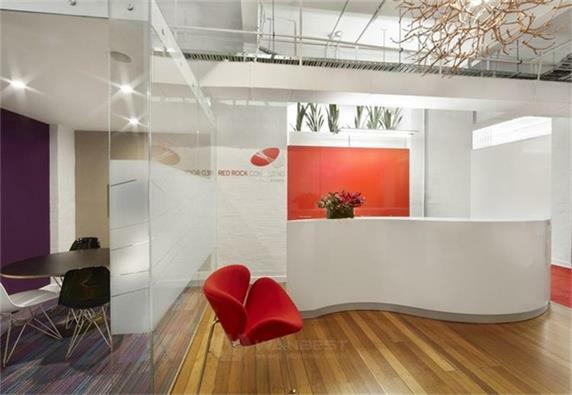 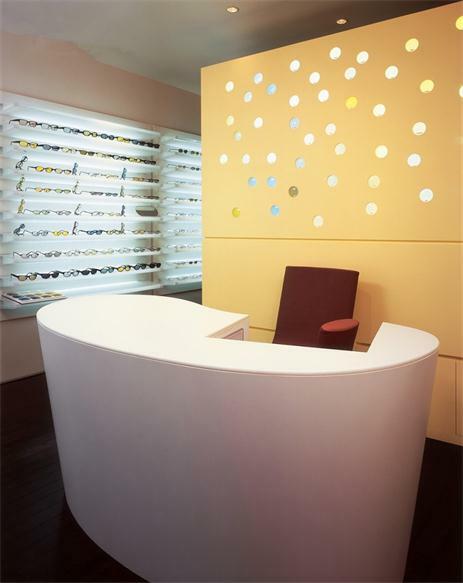 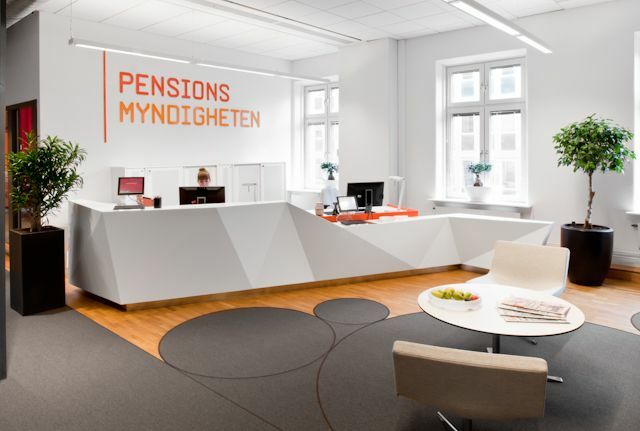 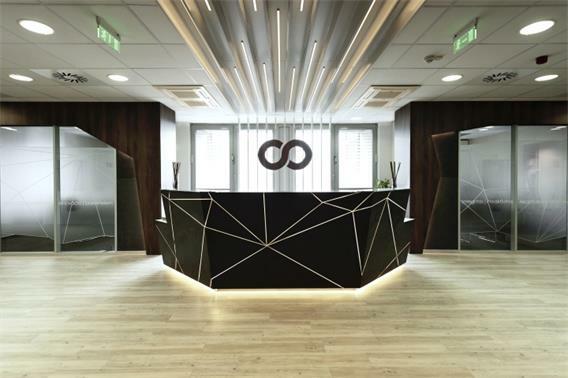 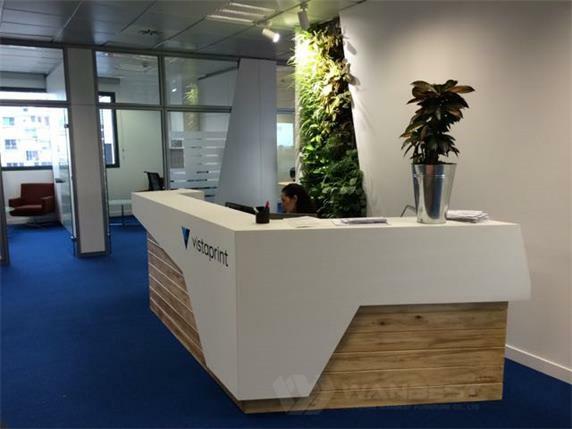 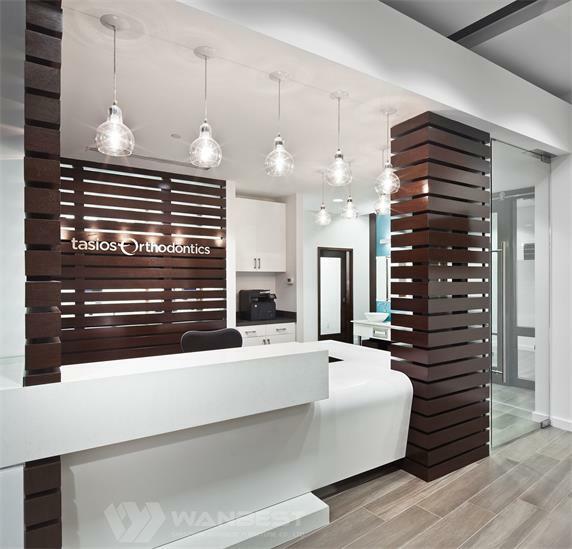 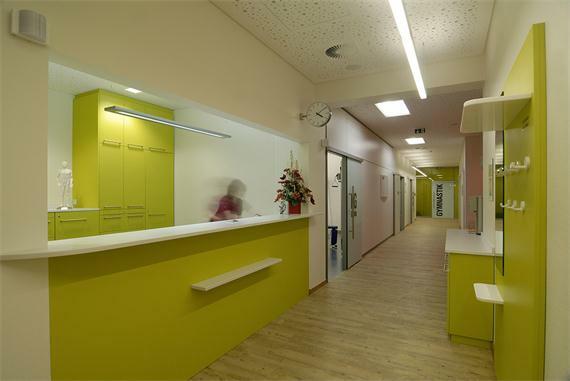 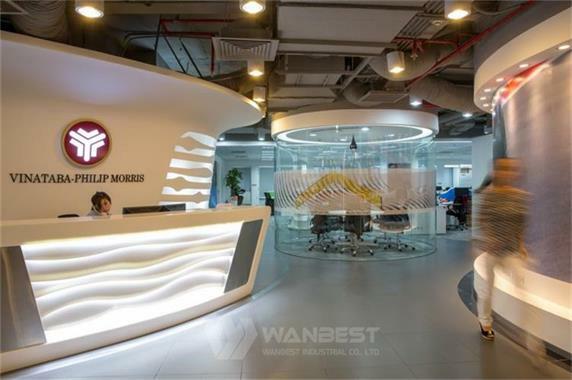 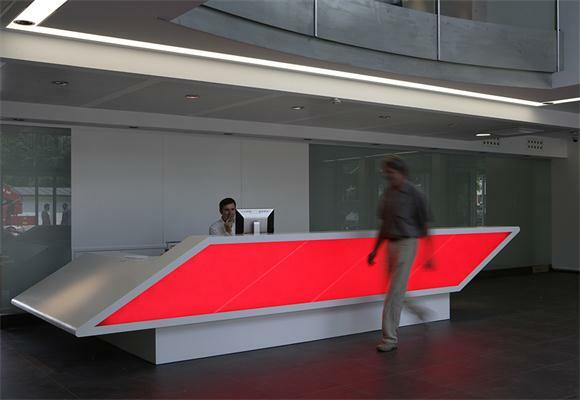 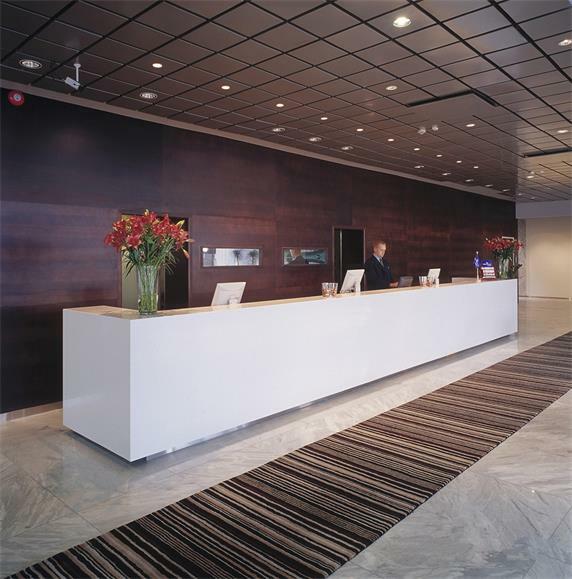 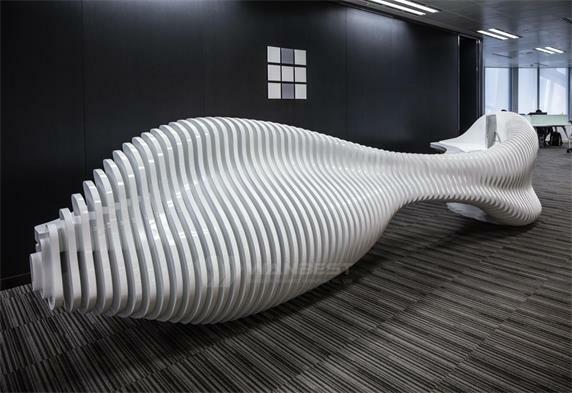 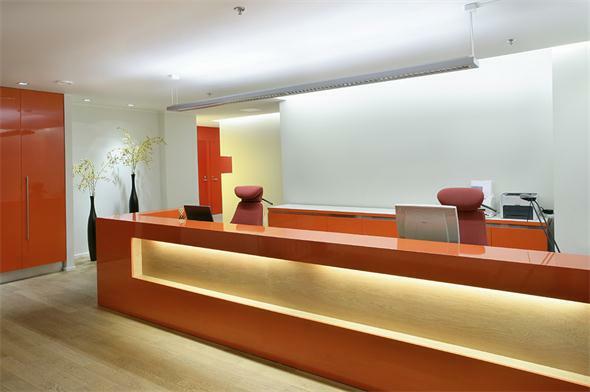 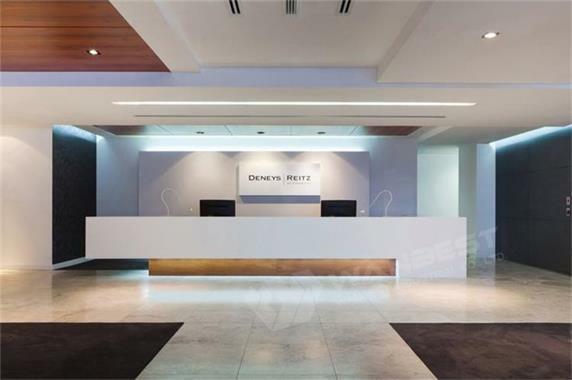 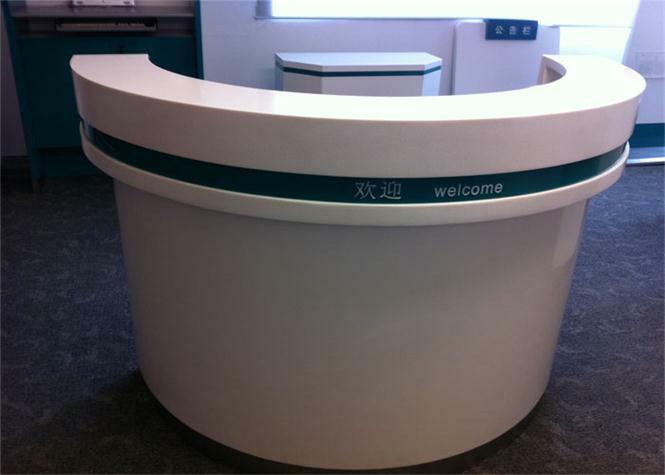 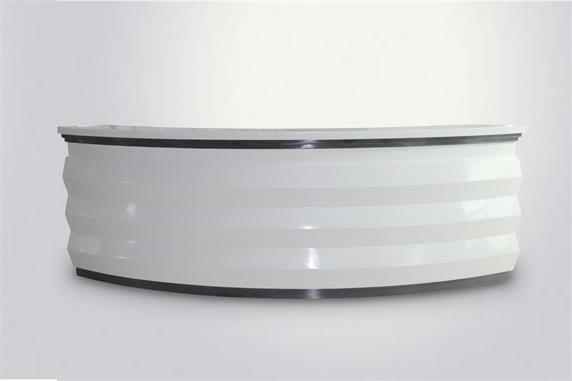 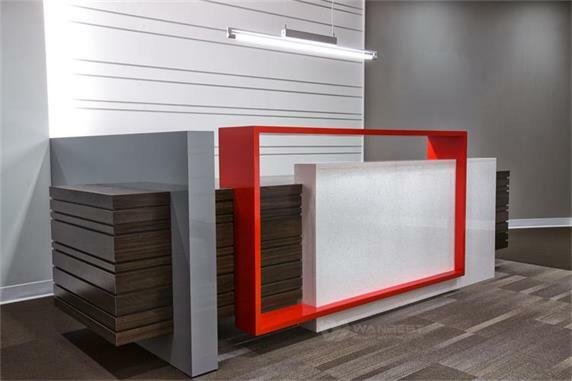 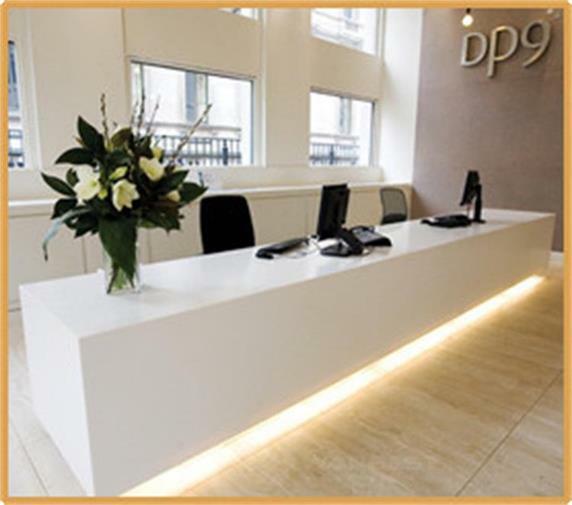 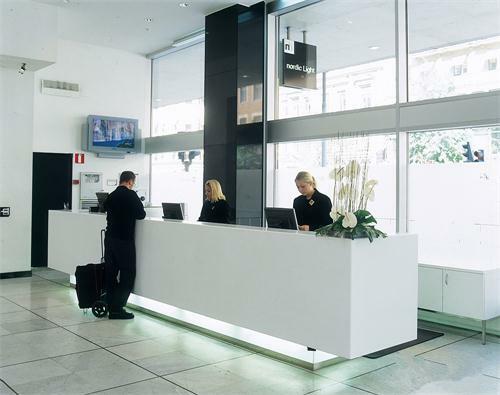 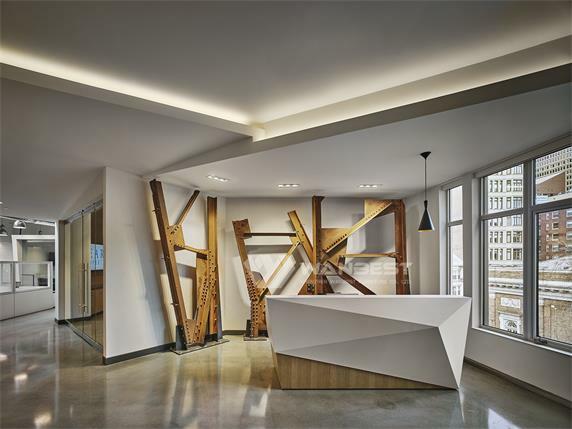 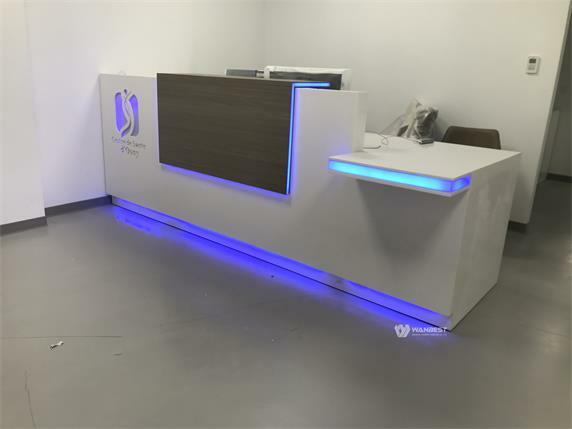 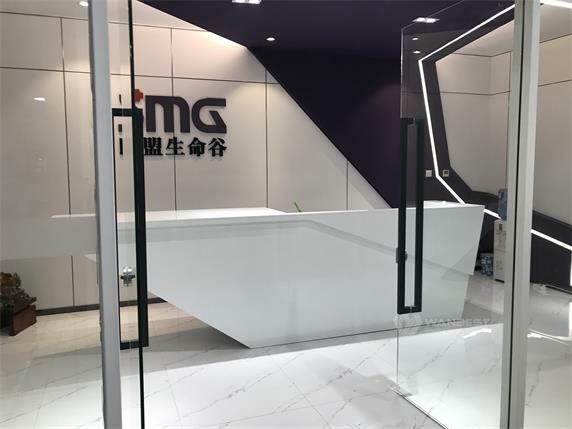 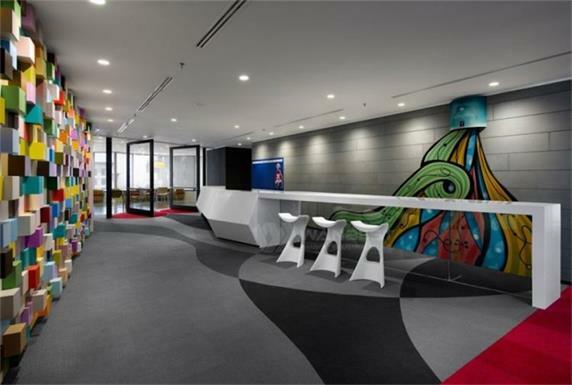 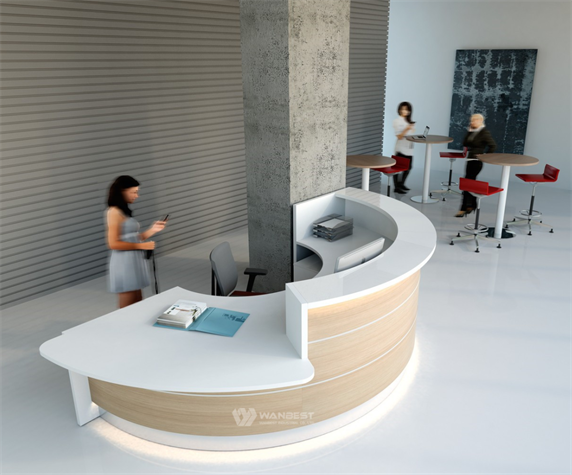 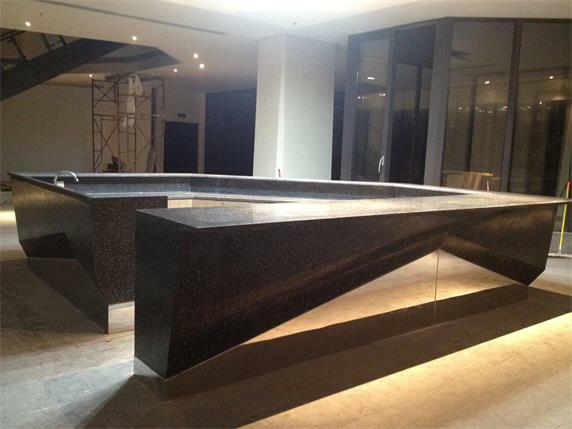 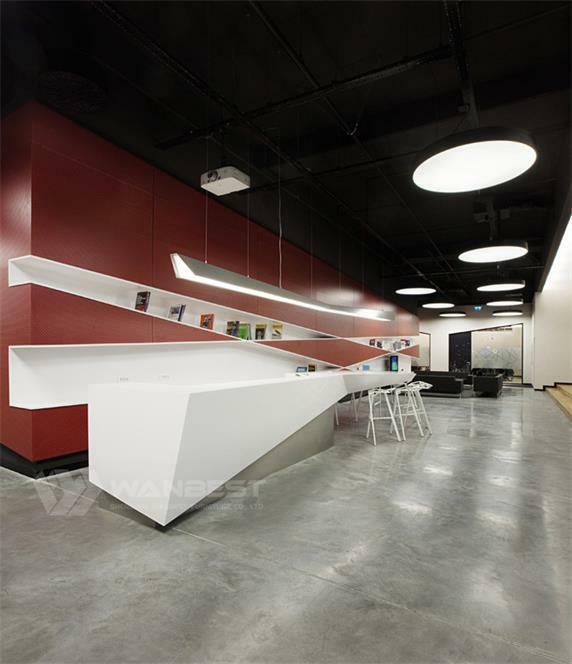 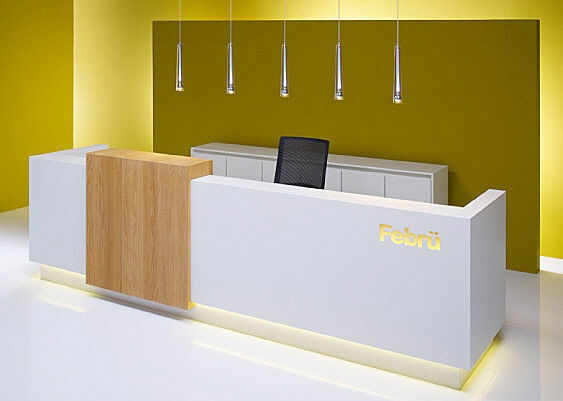 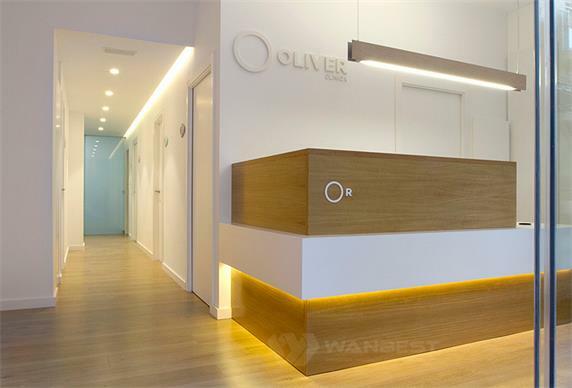 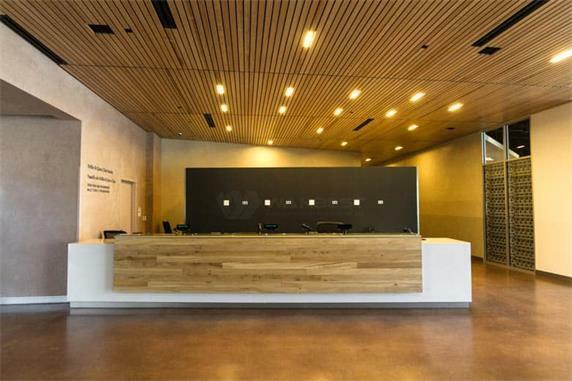 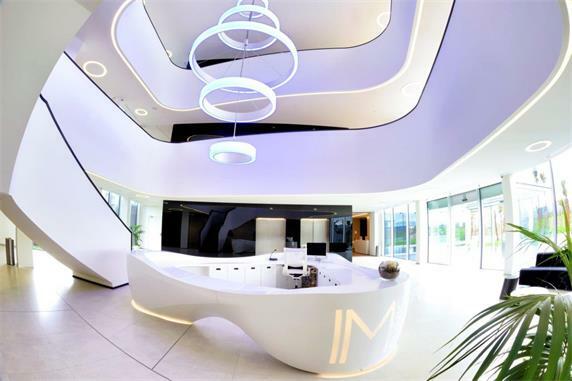 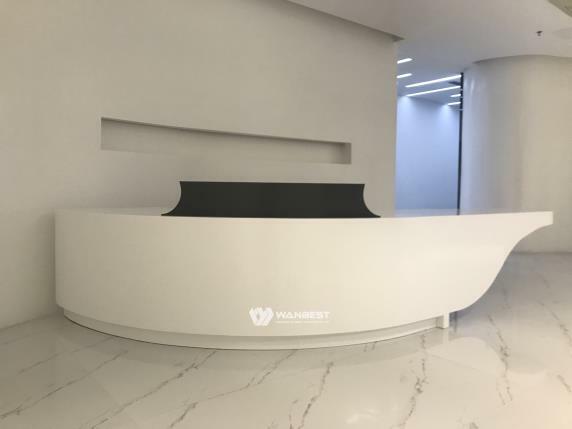 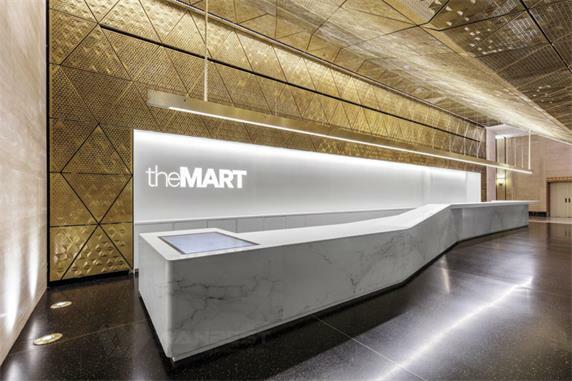 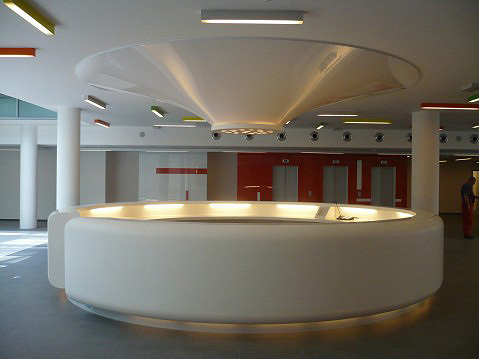 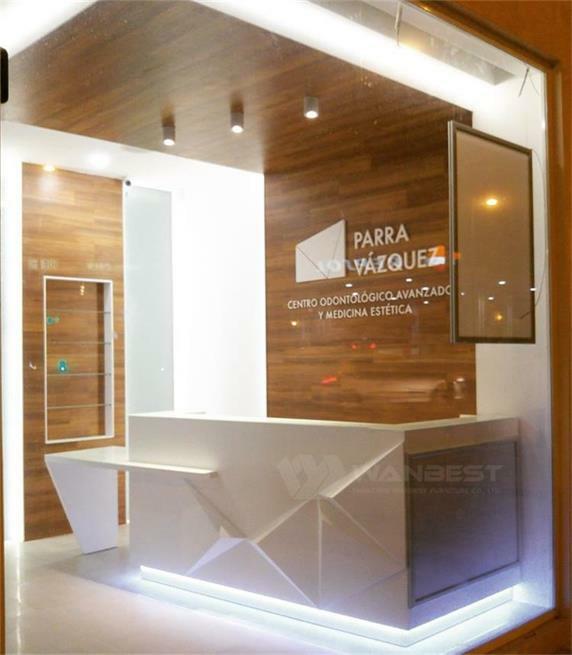 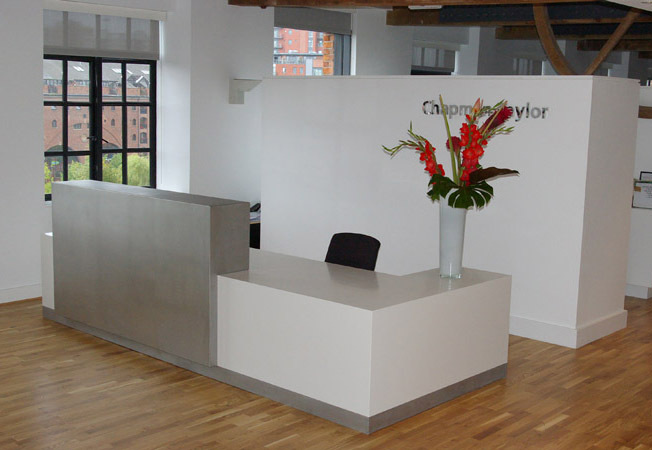 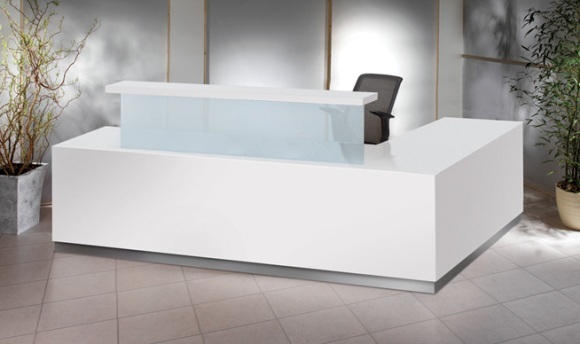 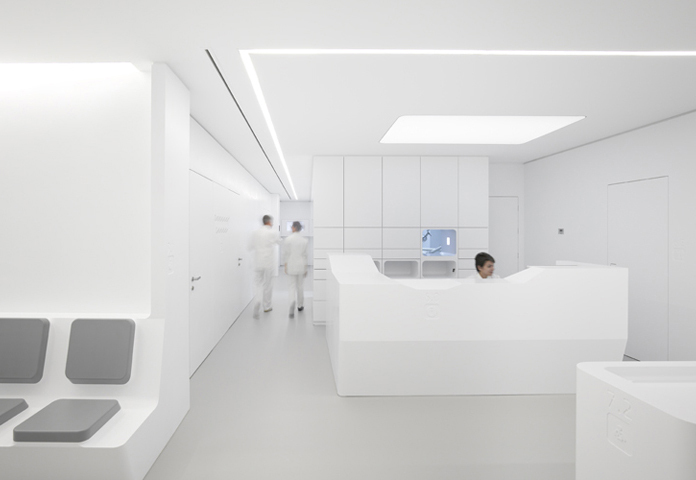 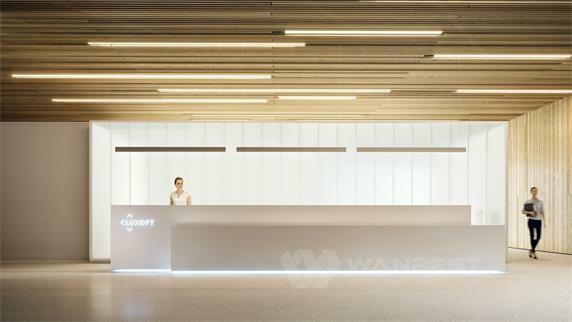 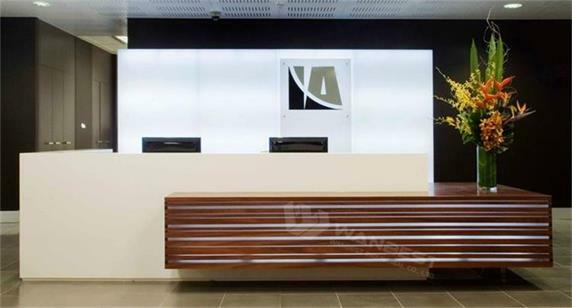 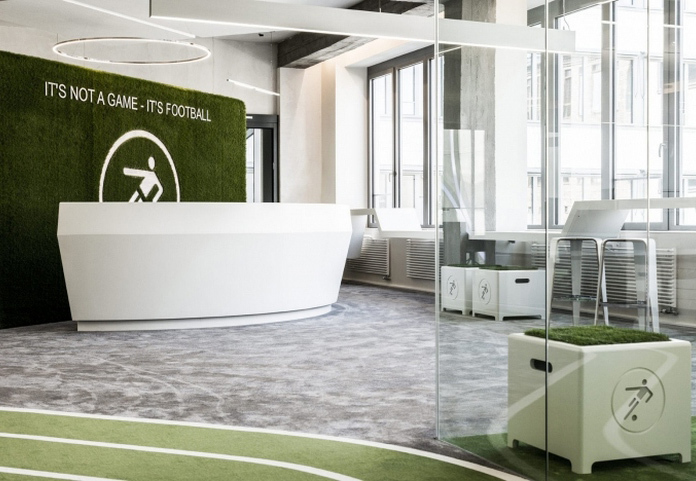 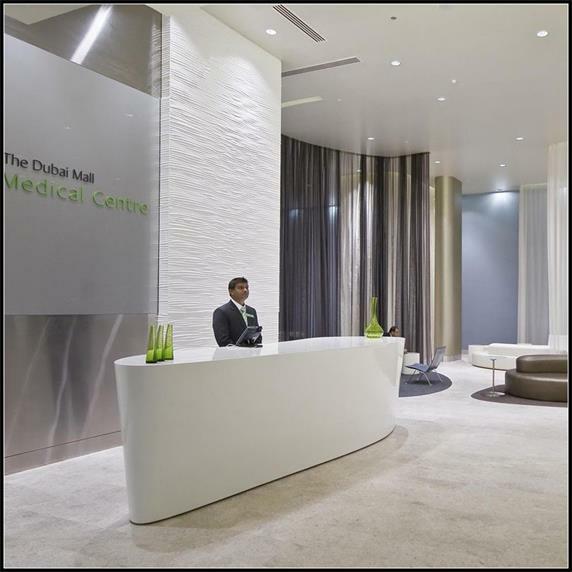 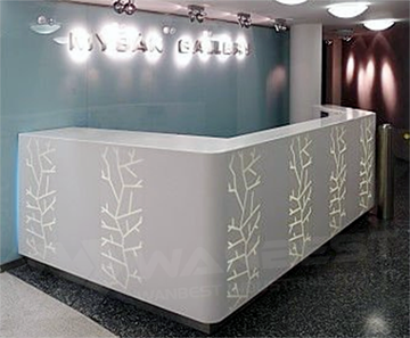 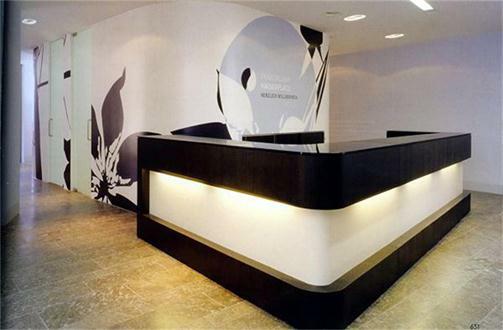 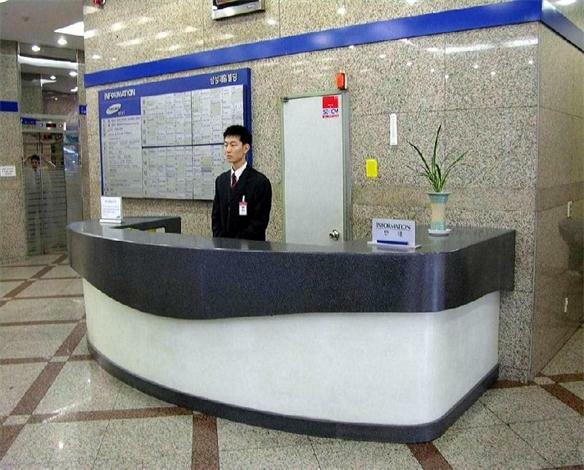 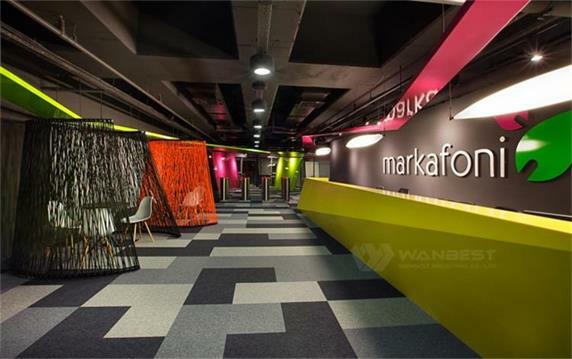 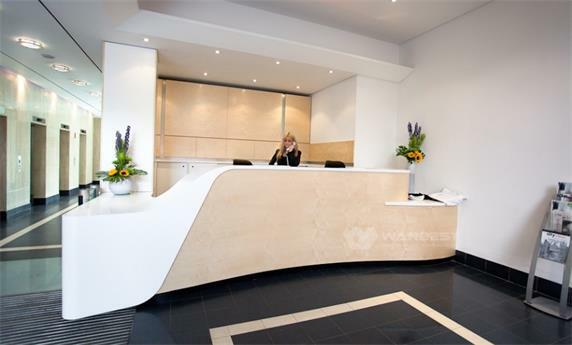 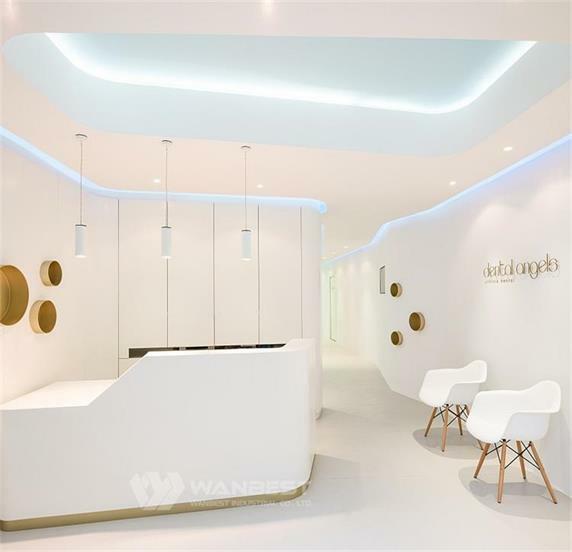 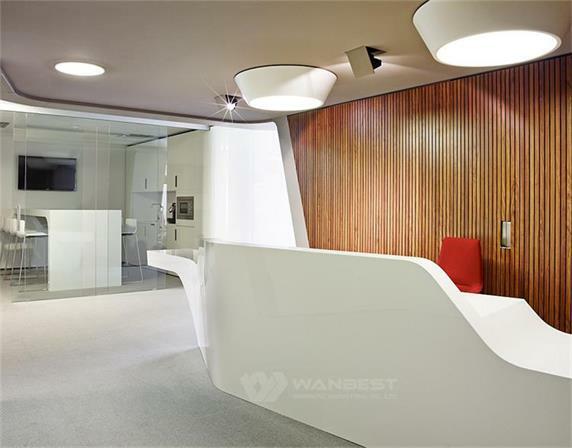 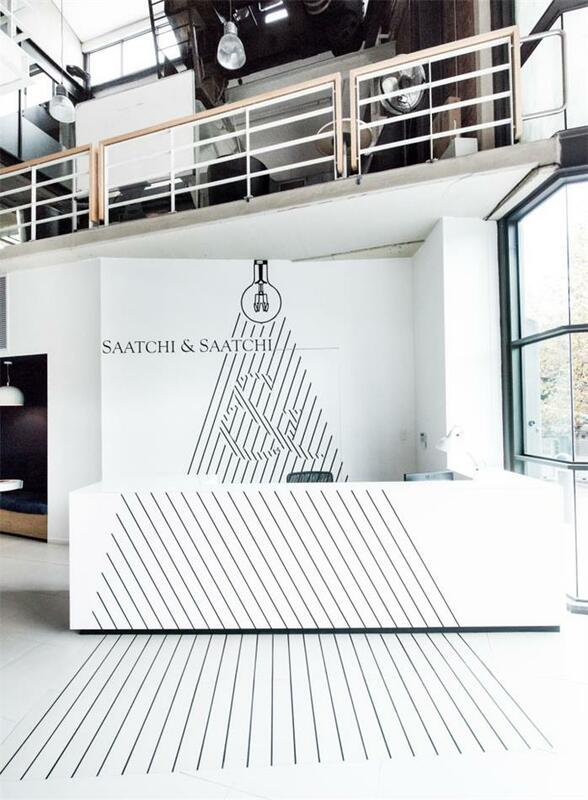 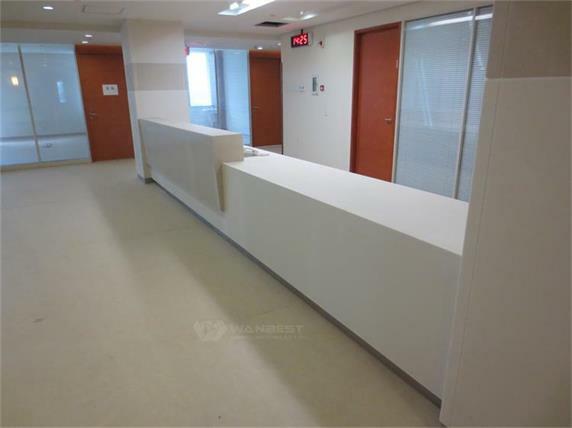 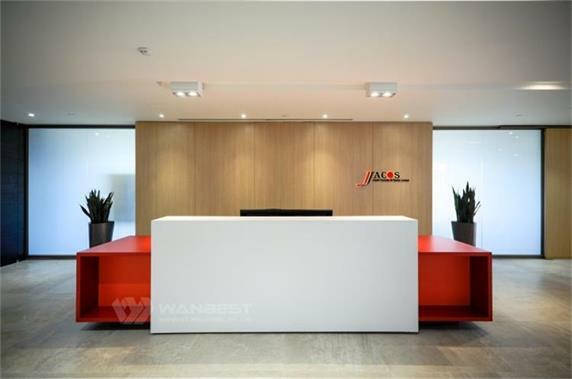 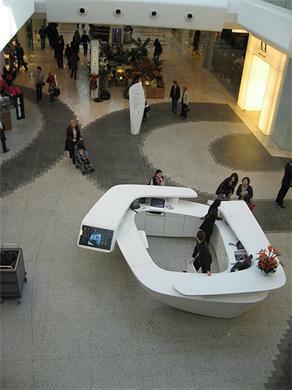 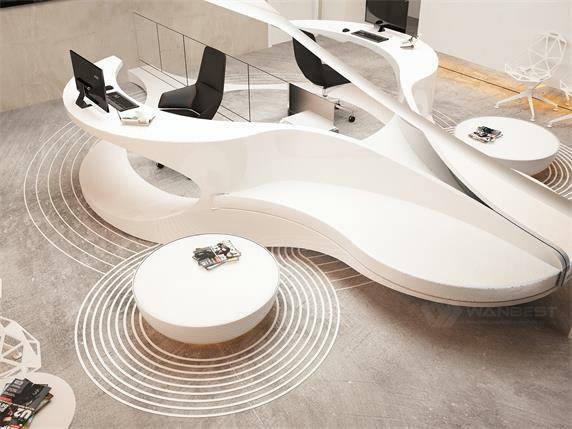 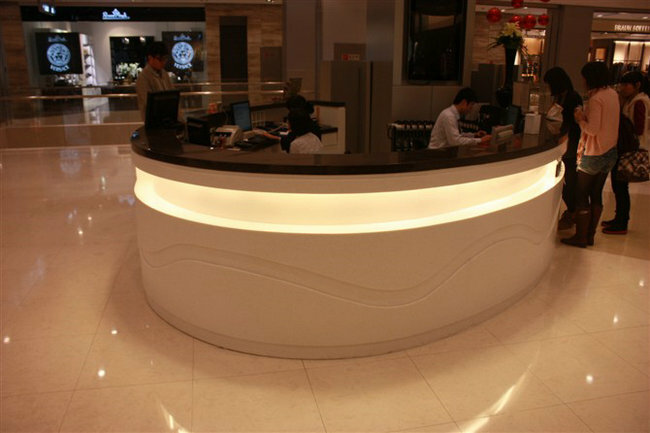 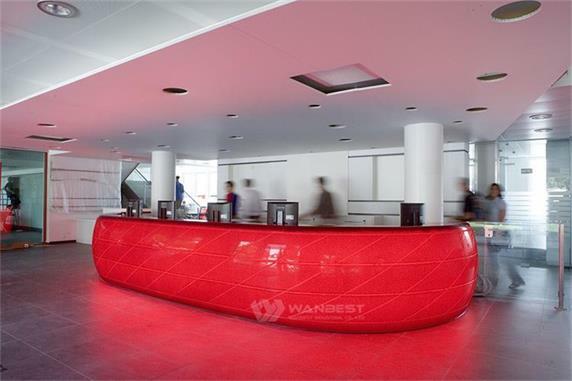 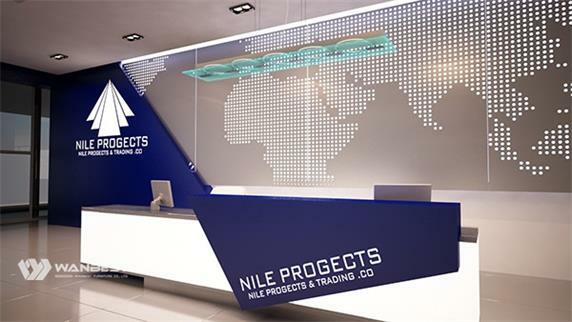 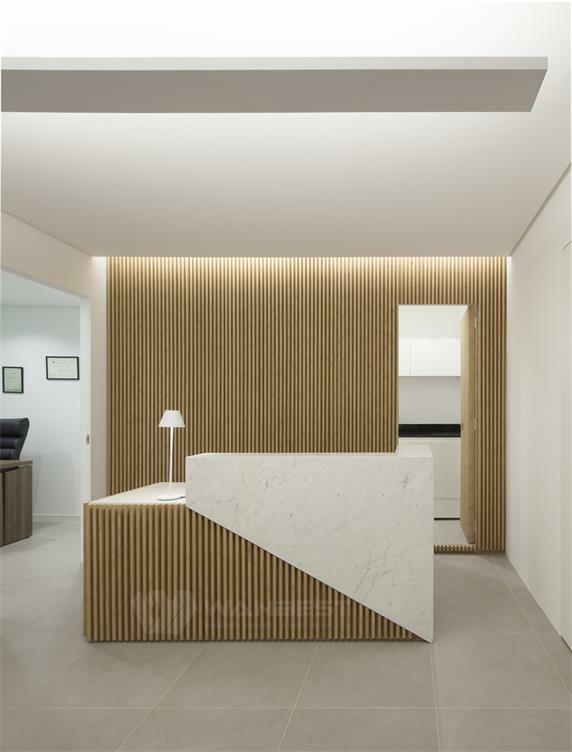 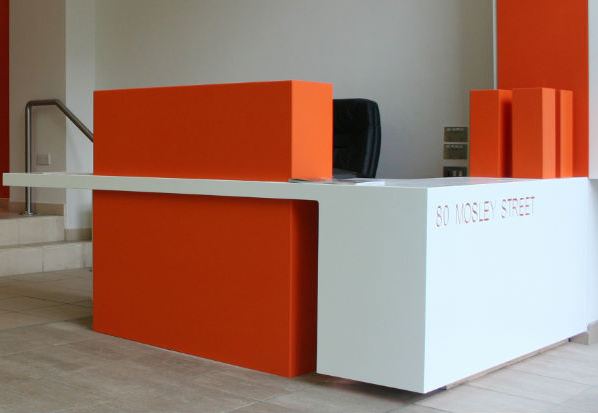 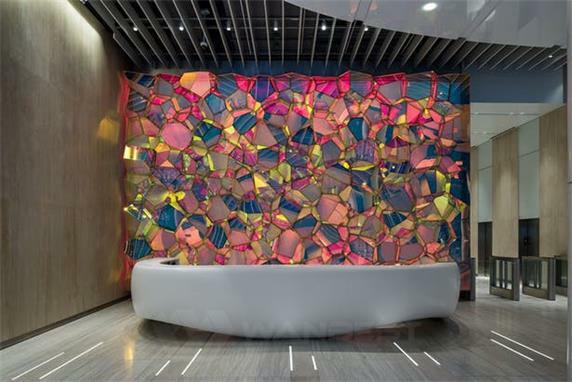 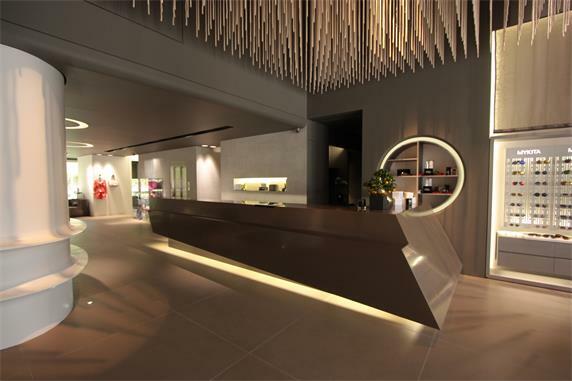 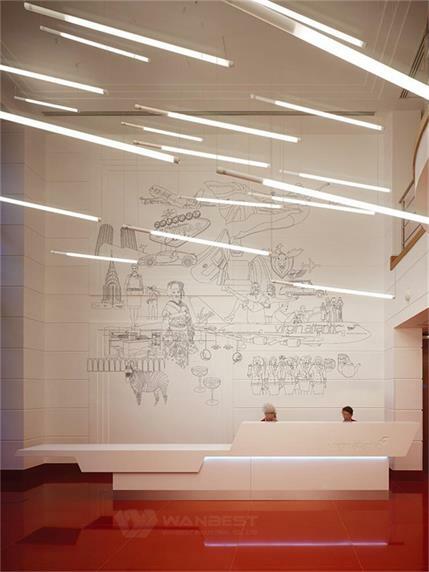 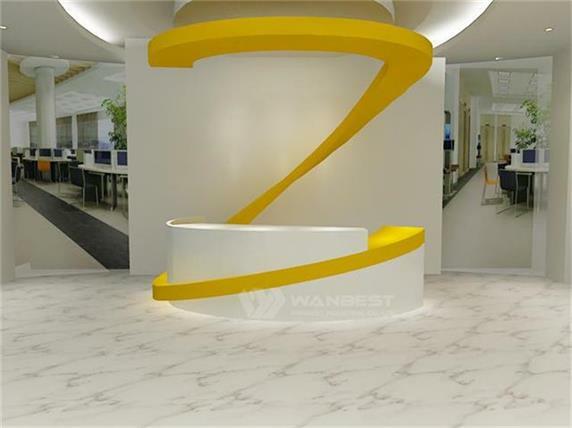 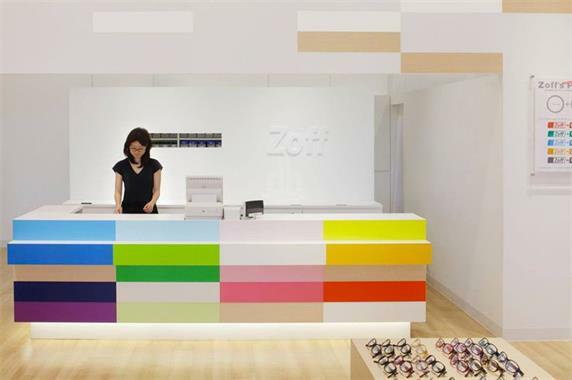 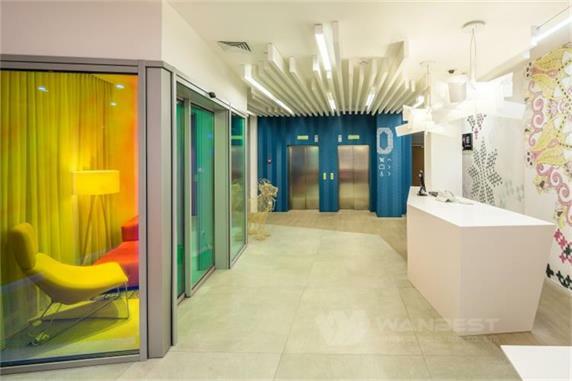 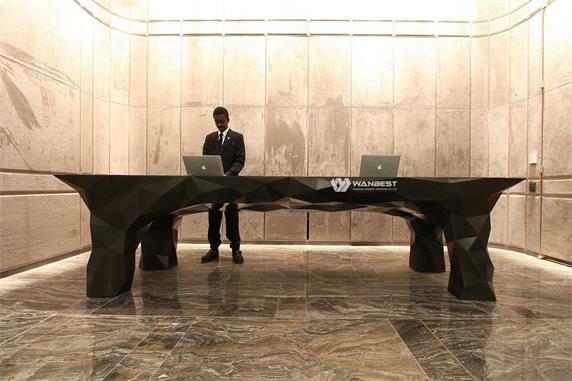 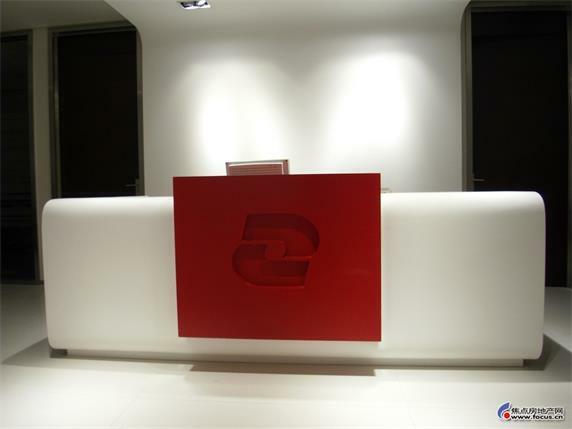 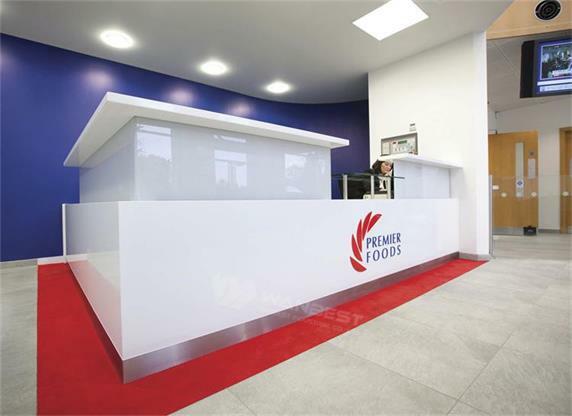 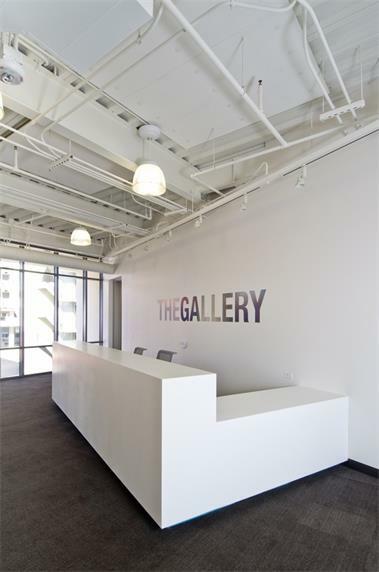 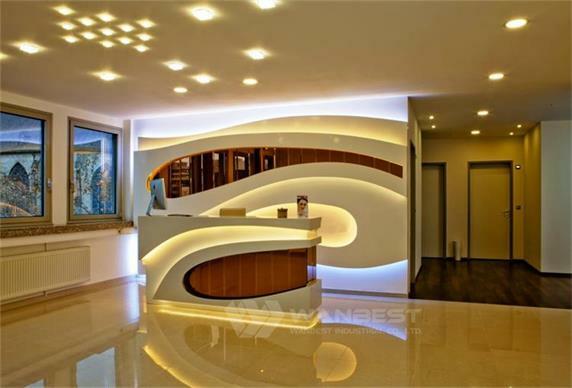 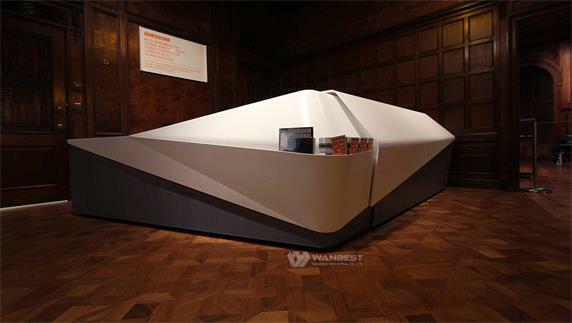 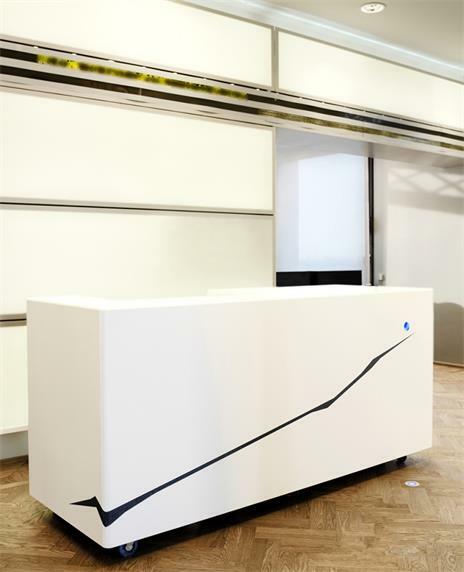 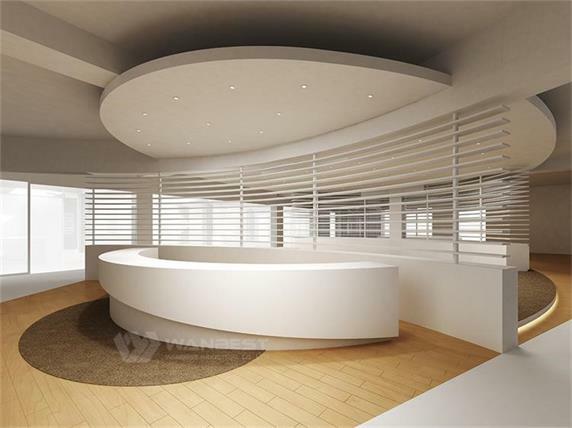 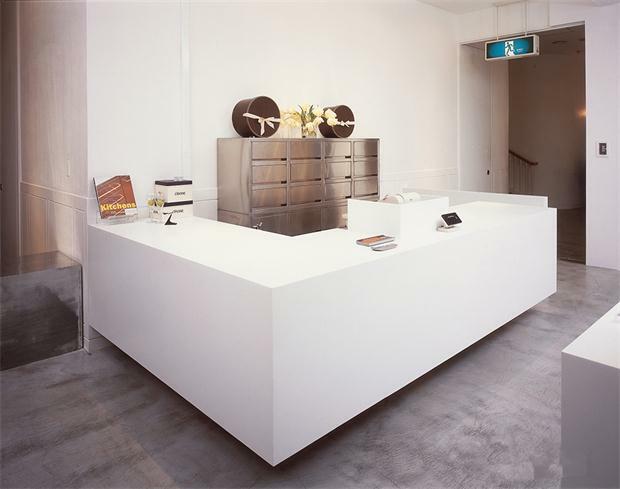 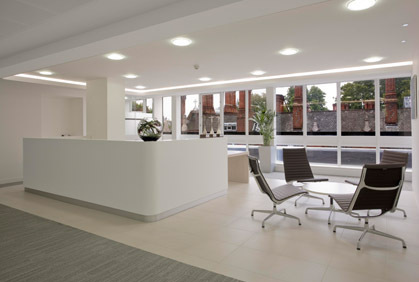 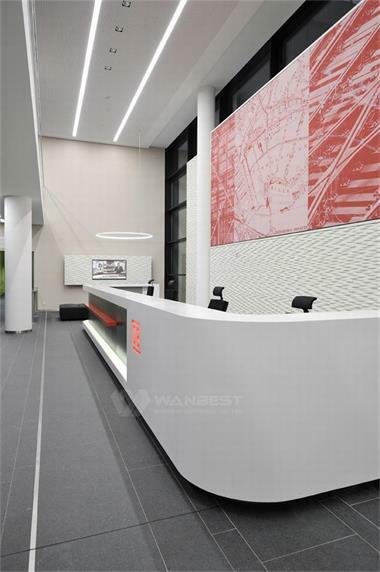 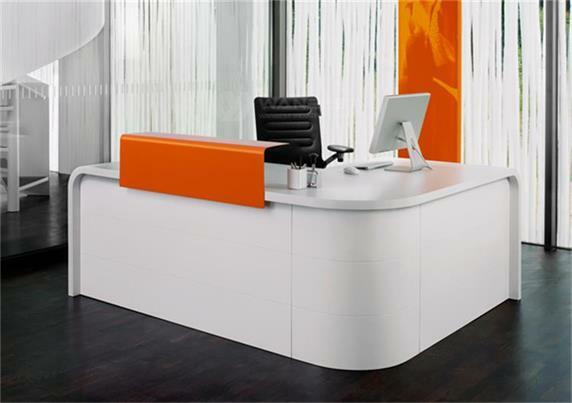 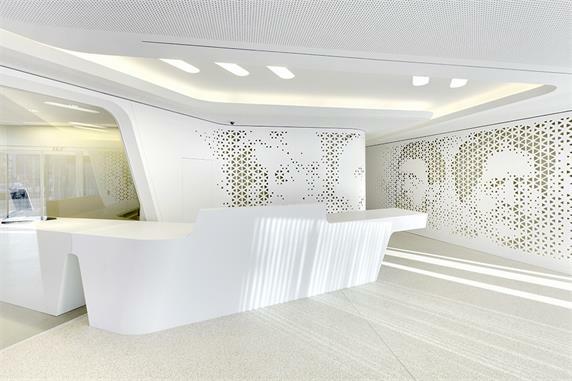 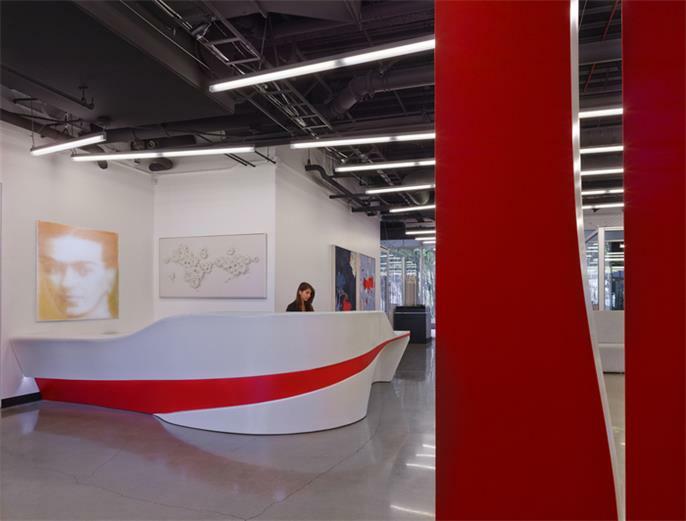 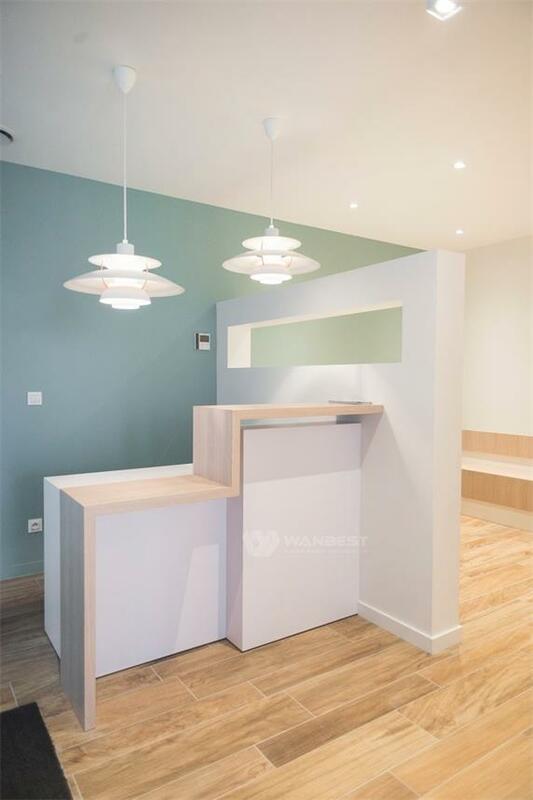 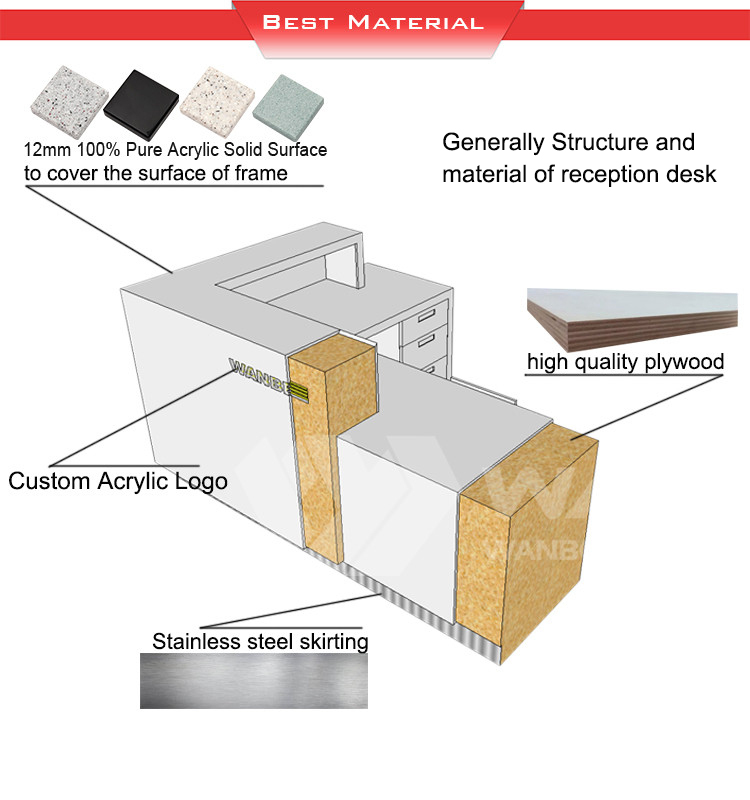 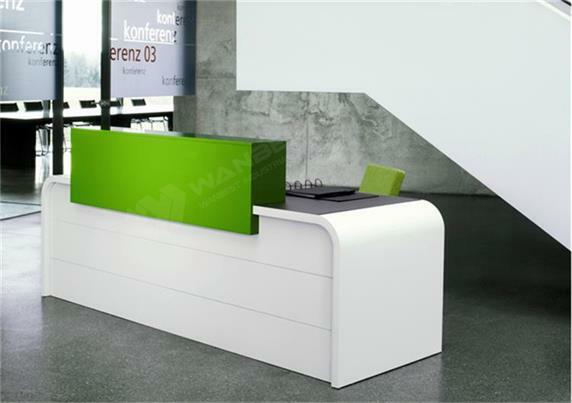 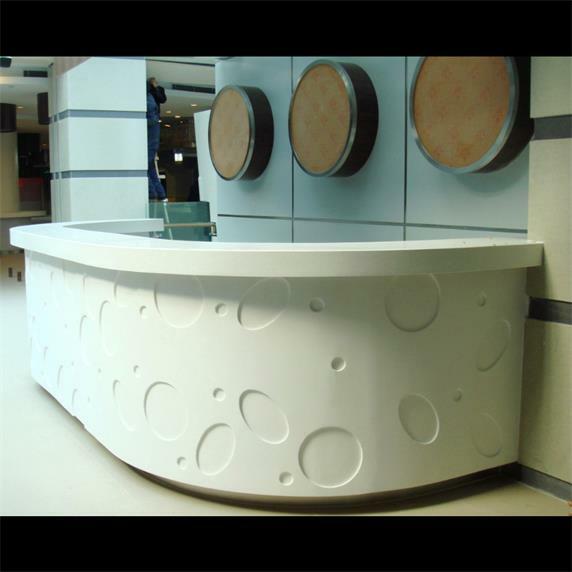 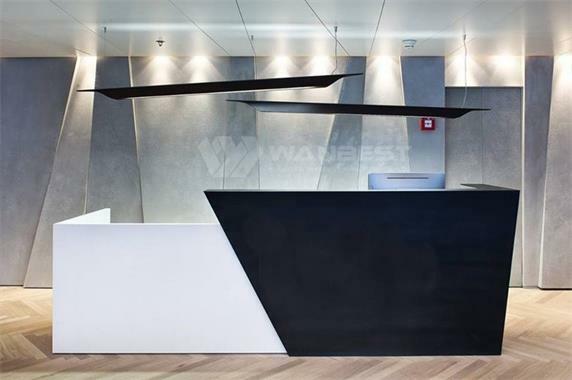 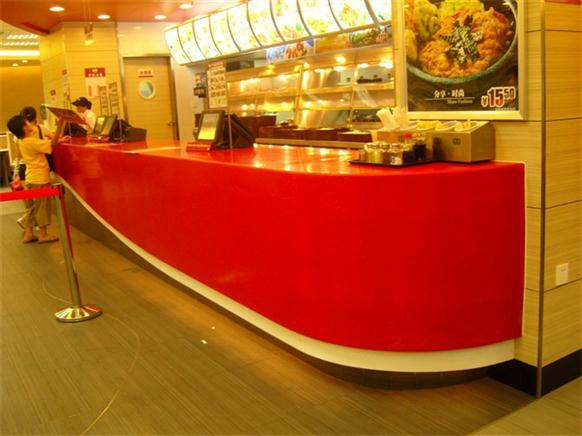 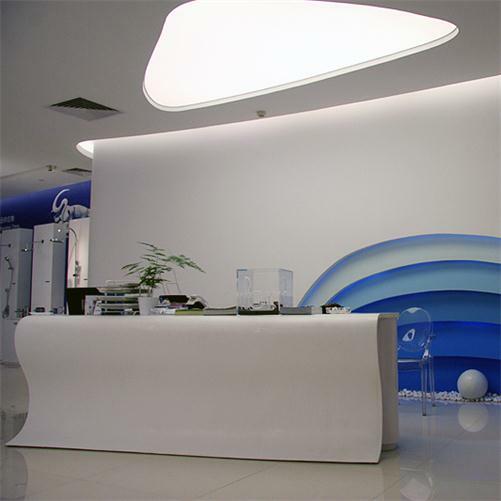 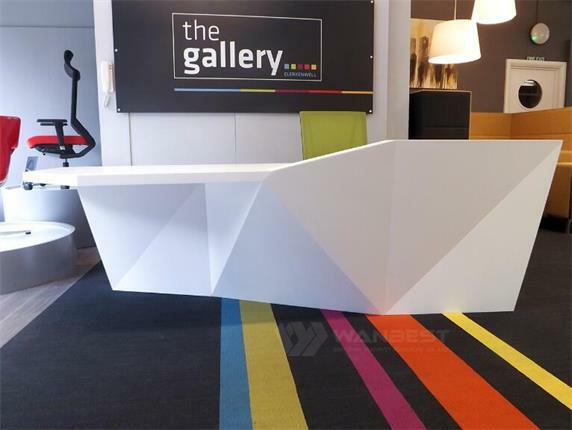 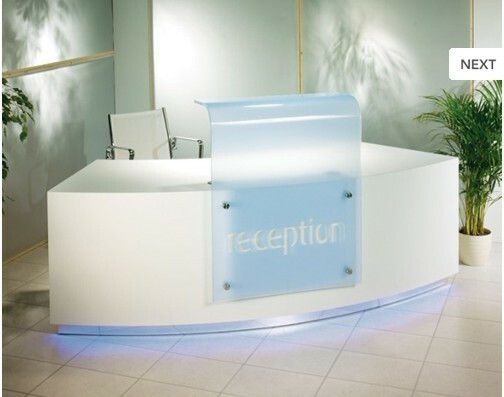 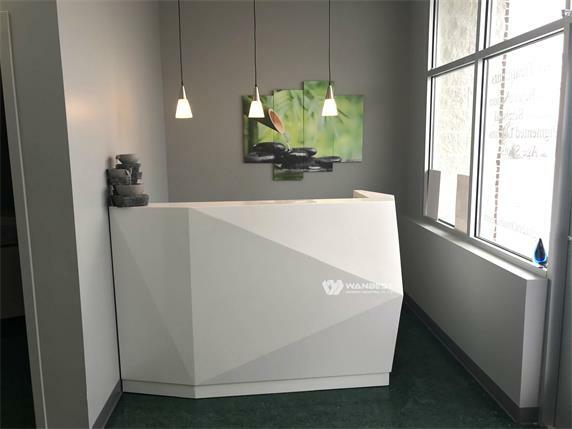 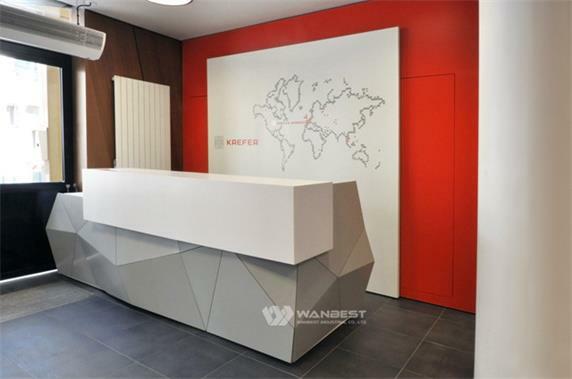 The details of reception desk,smooth without any gaps. 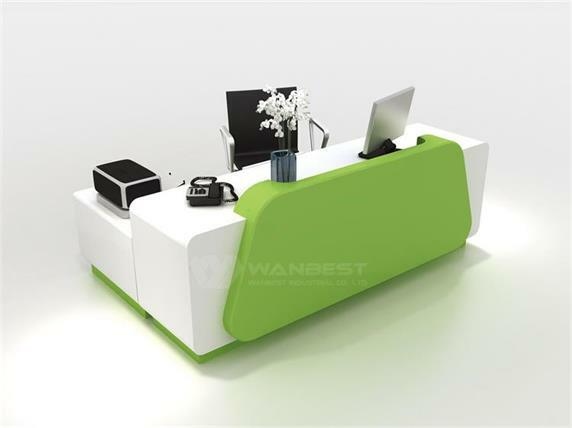 Size can be adjusted according to individual needs, style is also. 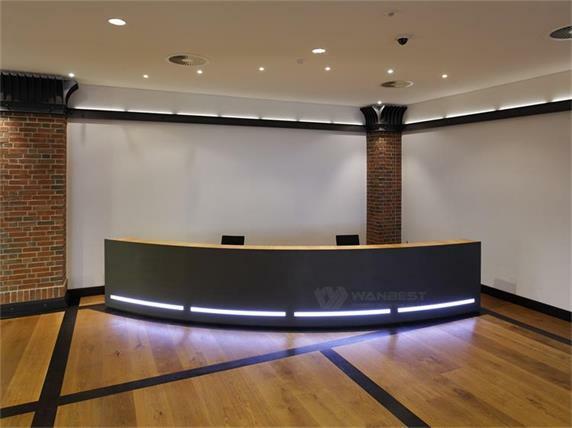 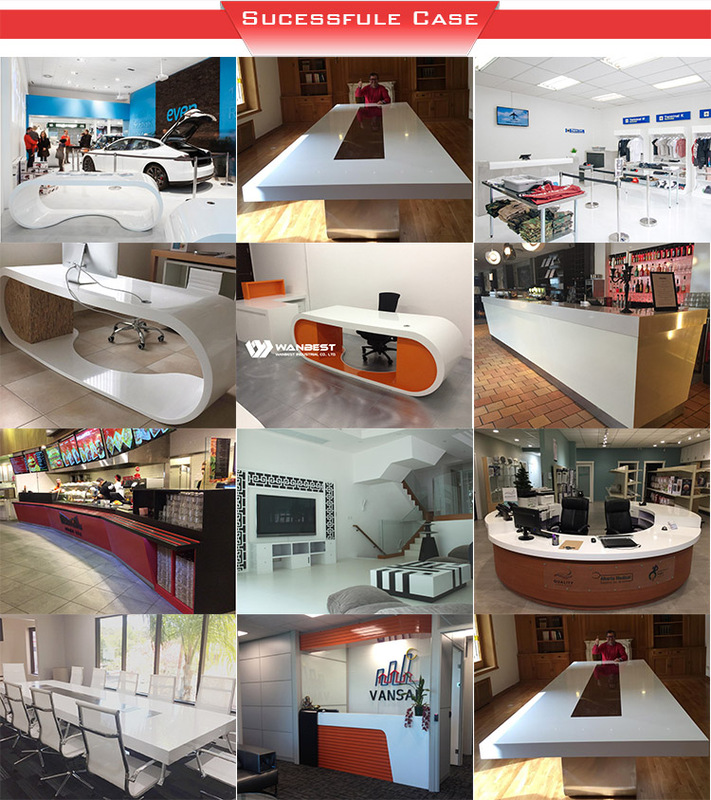 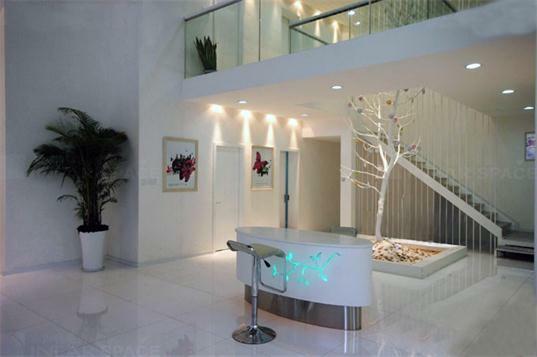 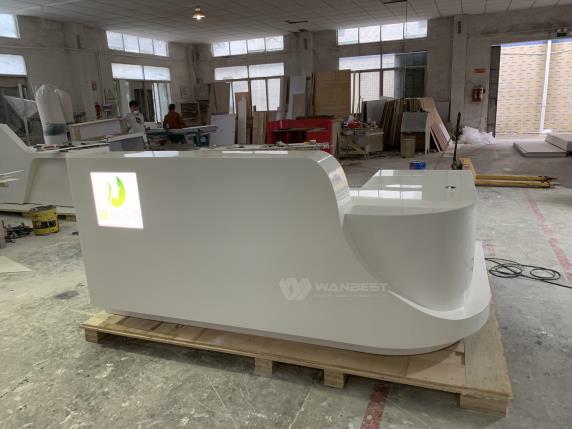 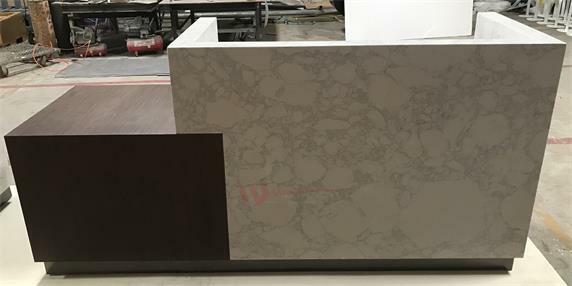 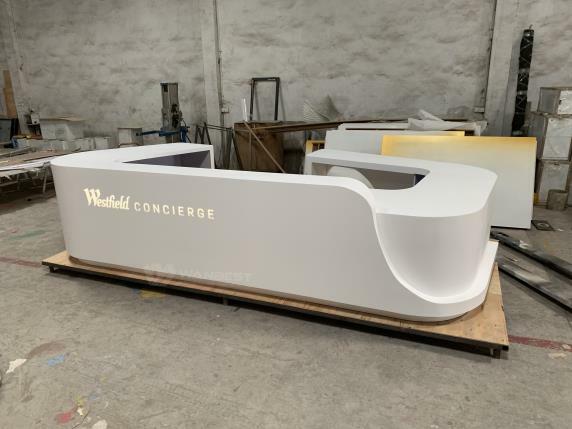 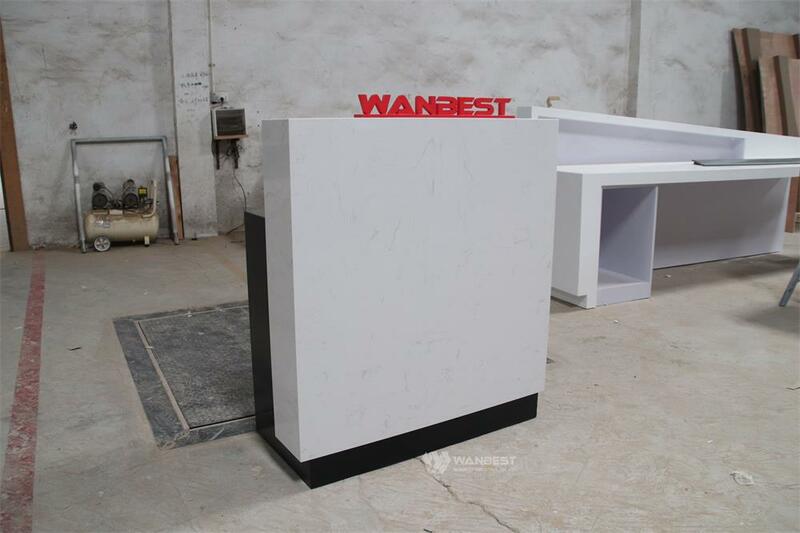 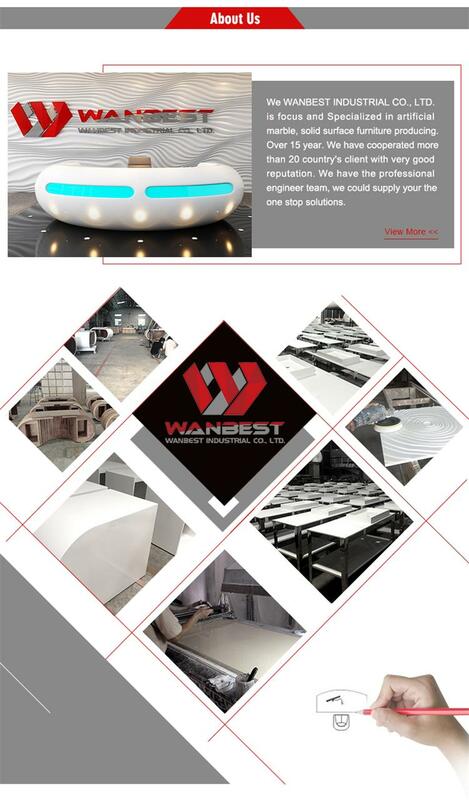 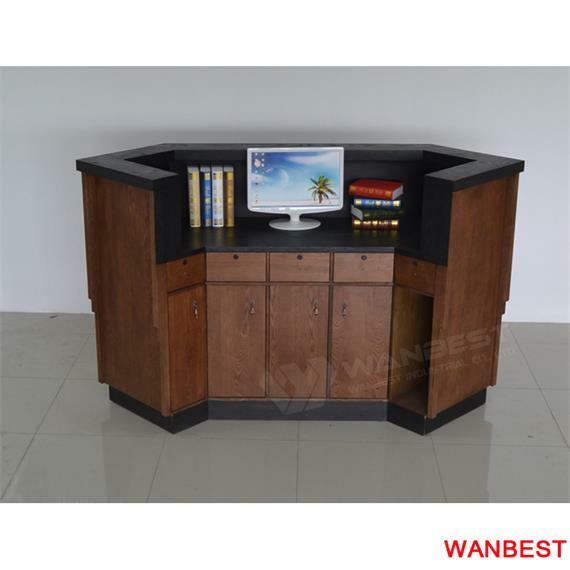 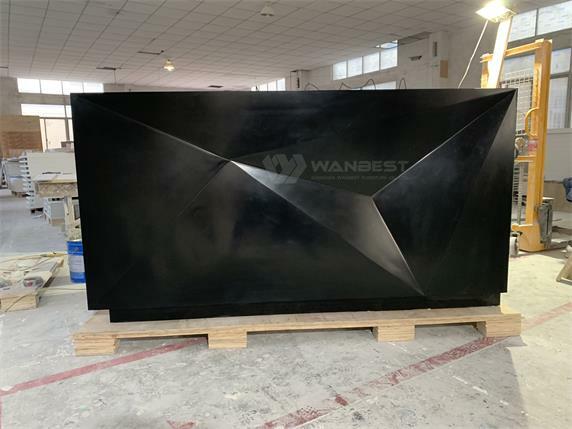 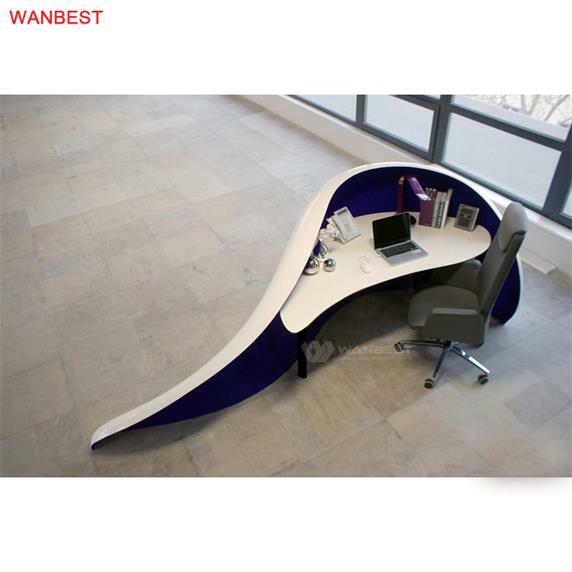 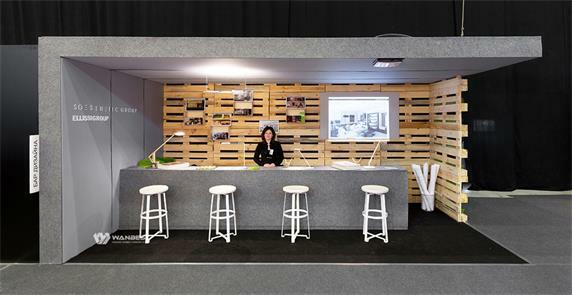 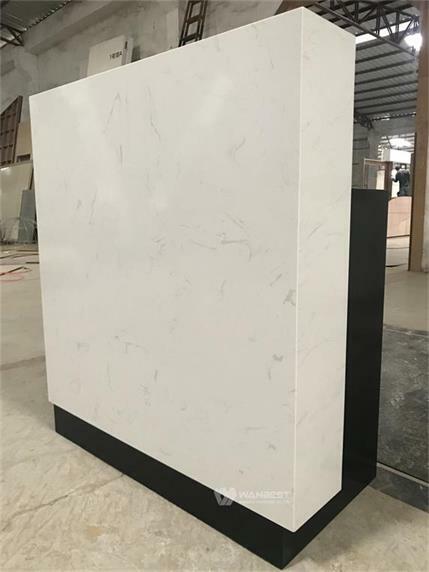 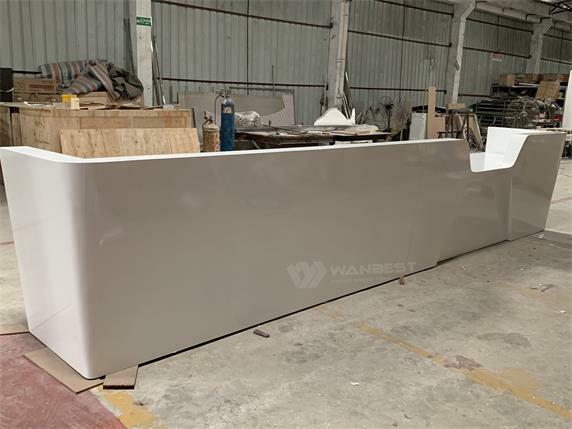 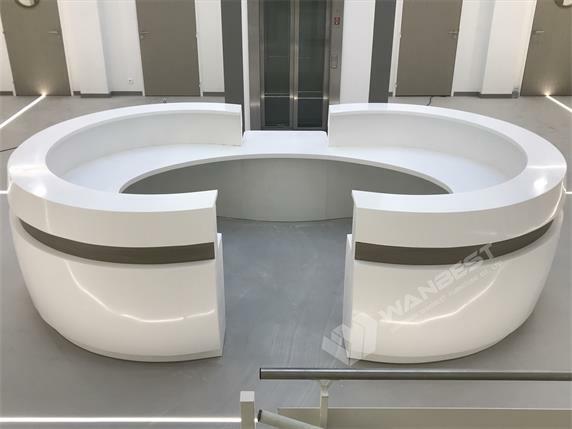 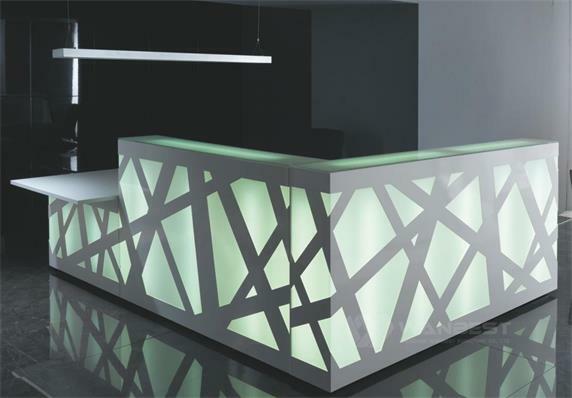 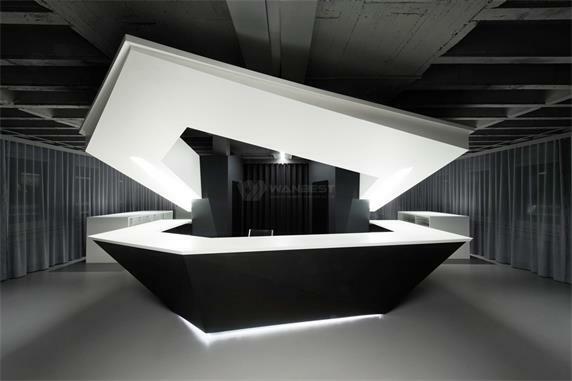 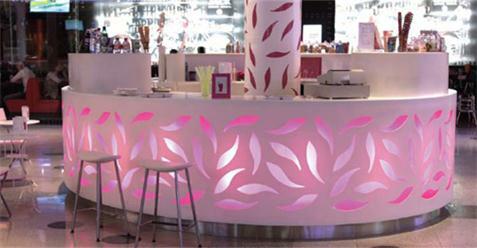 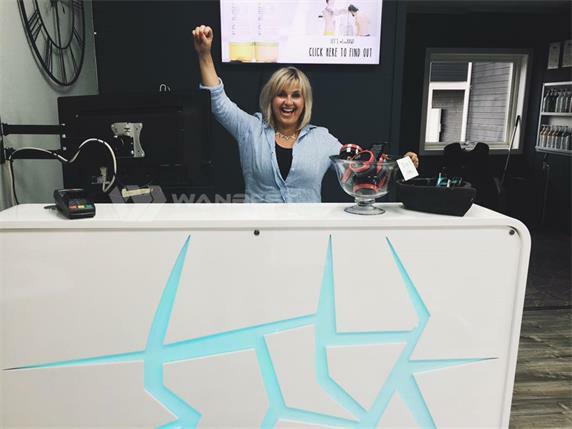 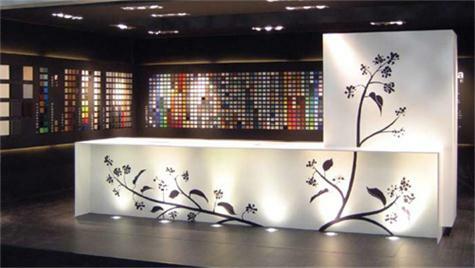 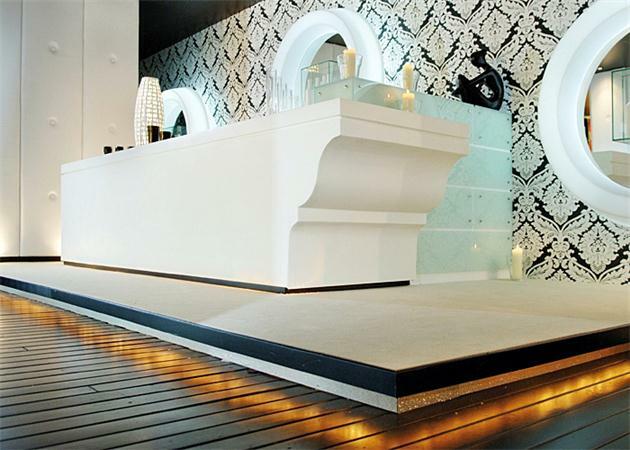 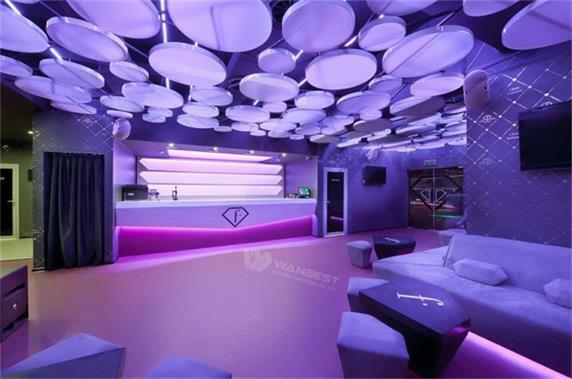 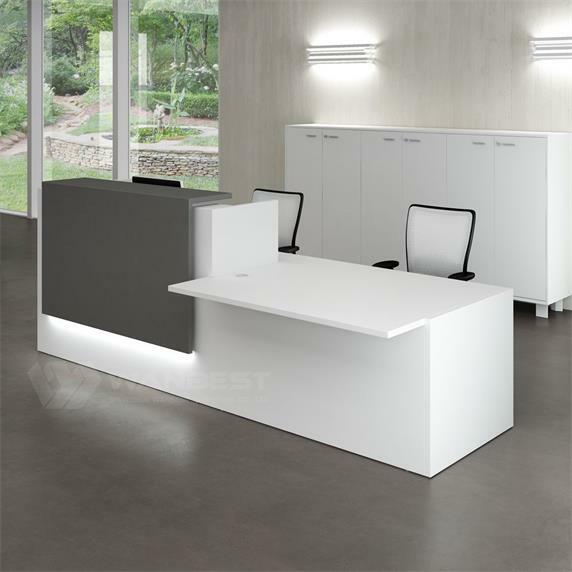 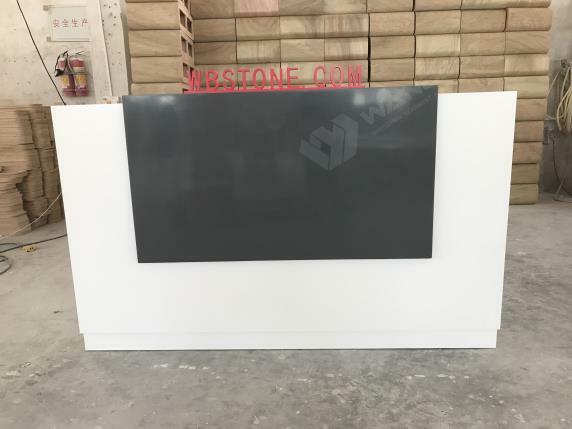 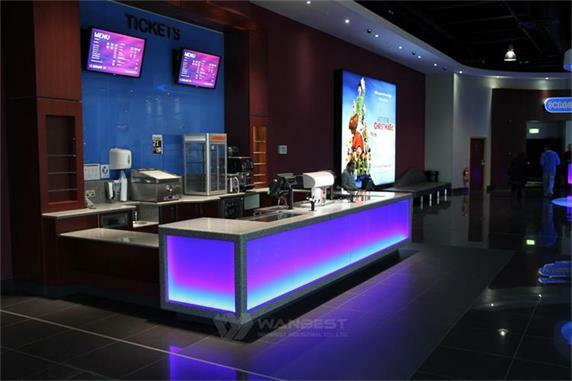 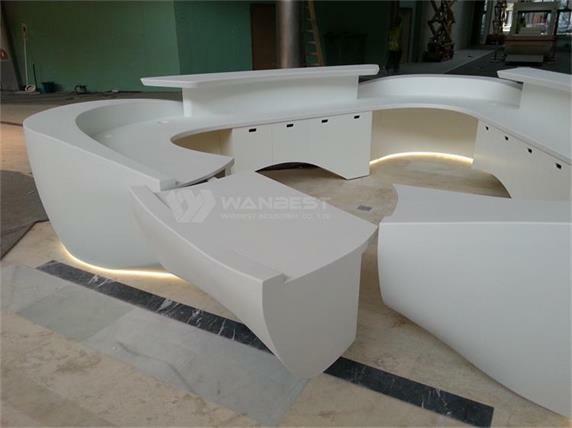 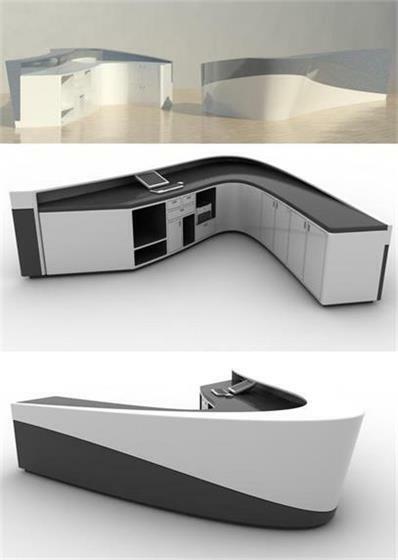 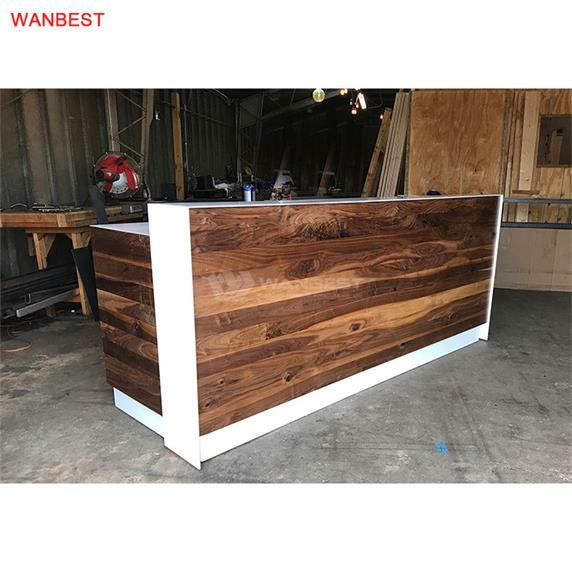 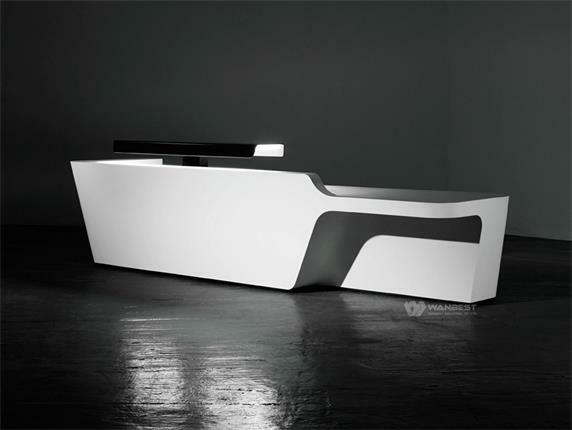 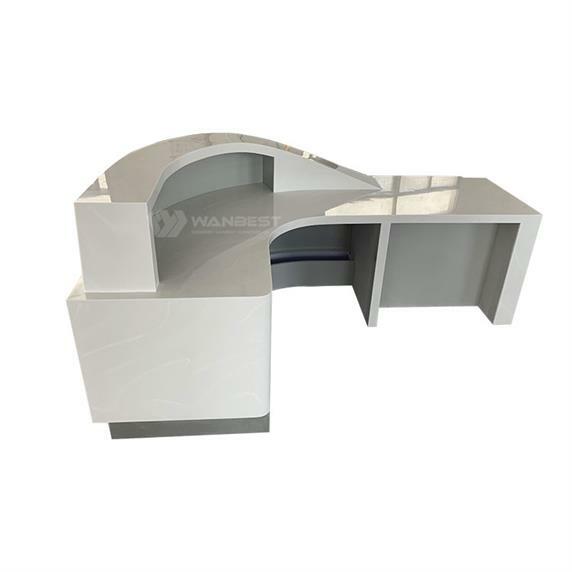 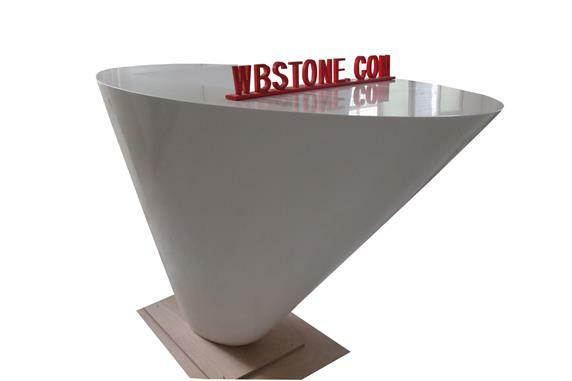 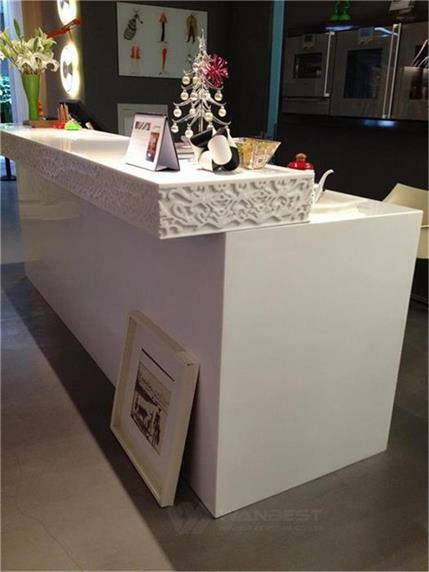 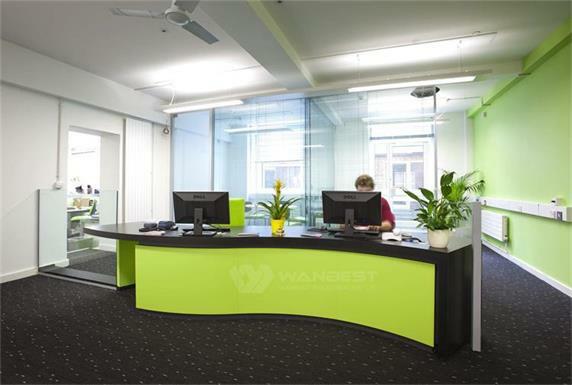 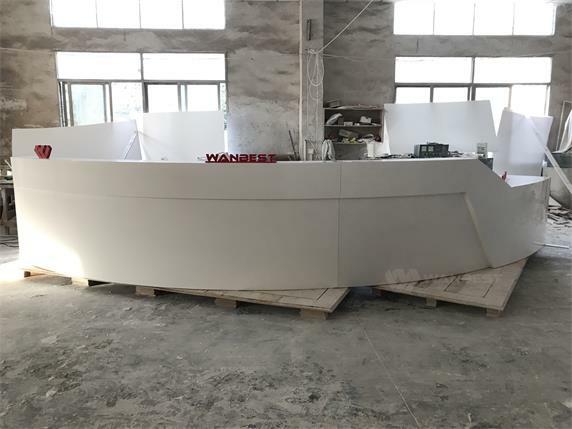 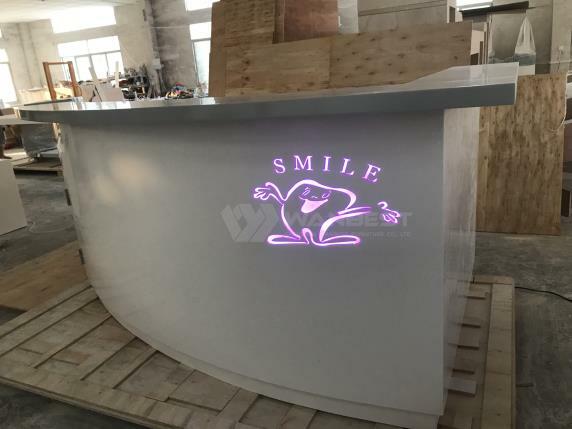 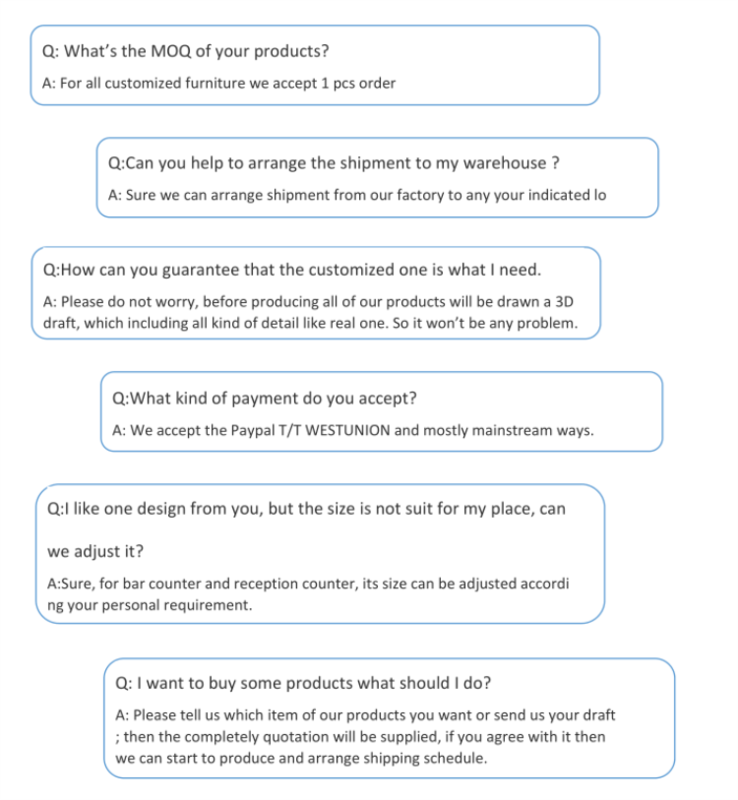 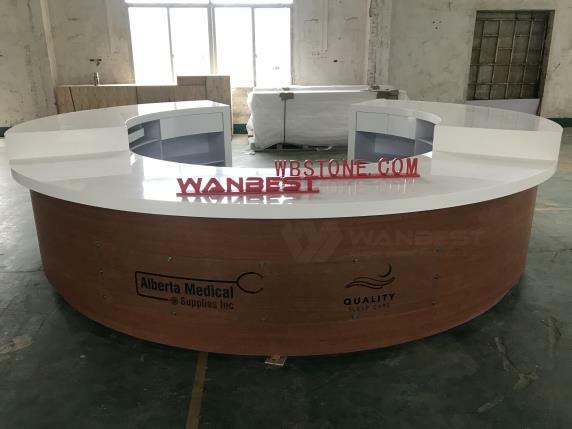 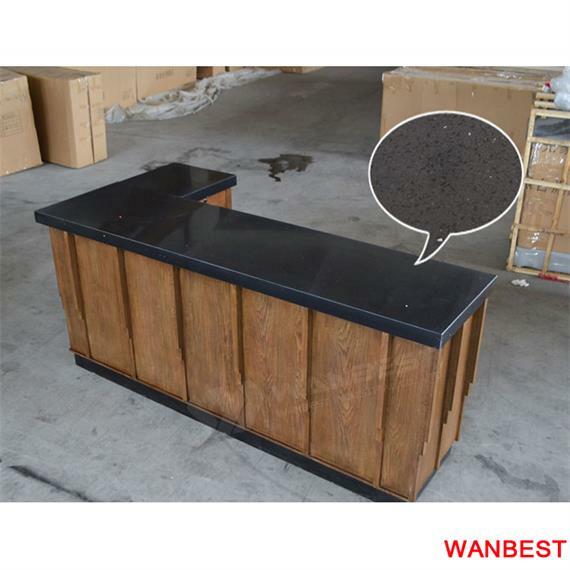 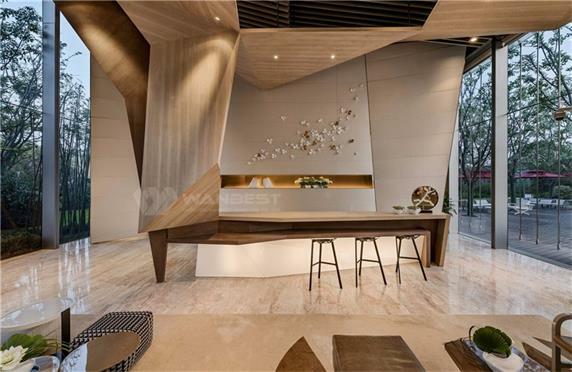 reception desk, bar counter, dinging table and so on. 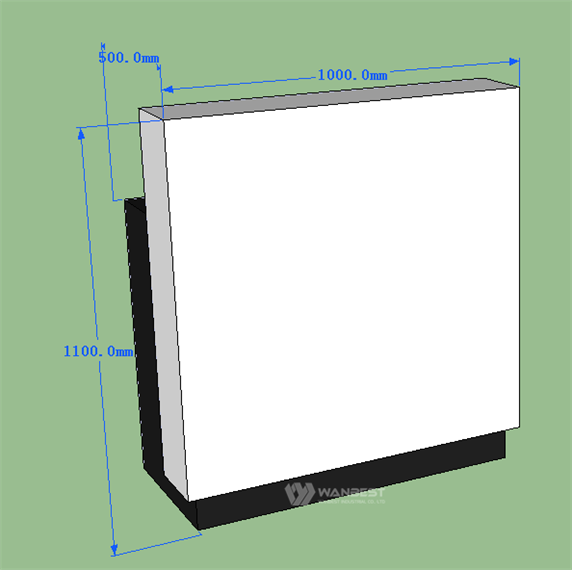 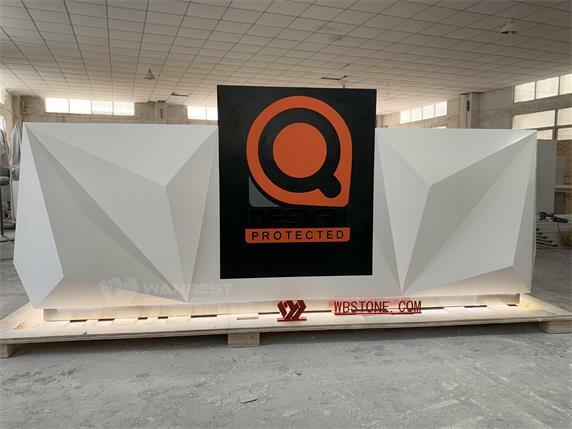 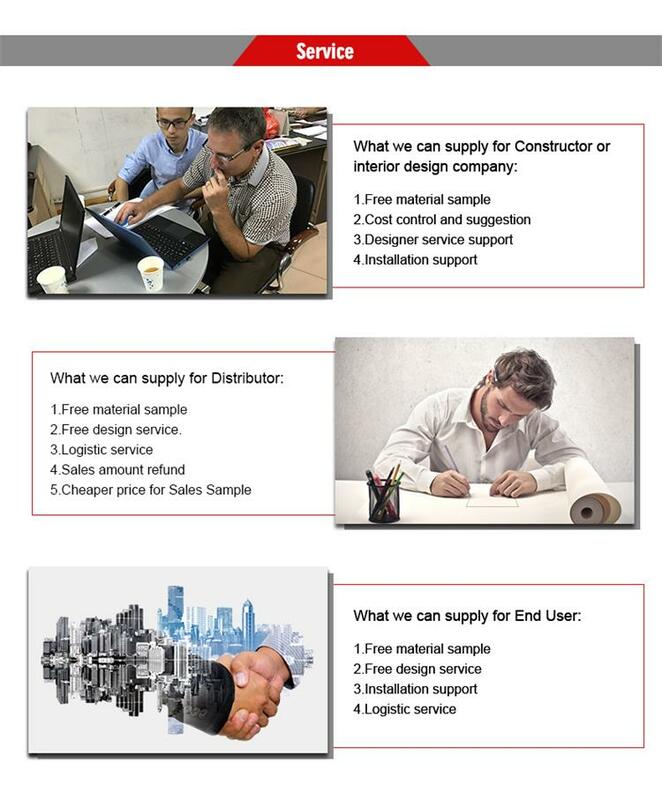 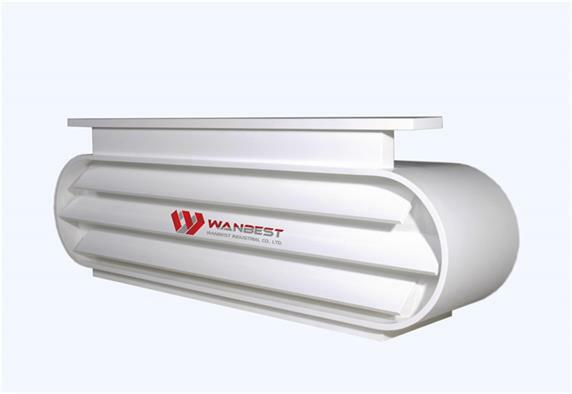 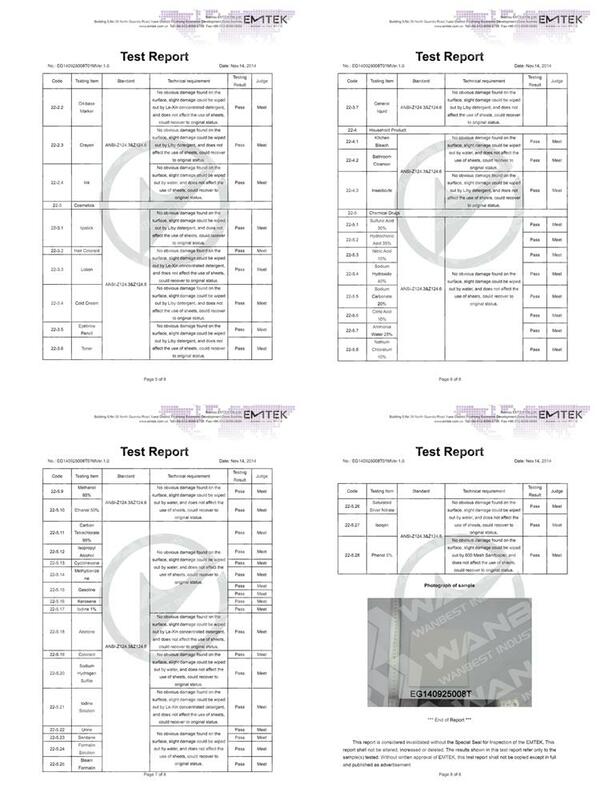 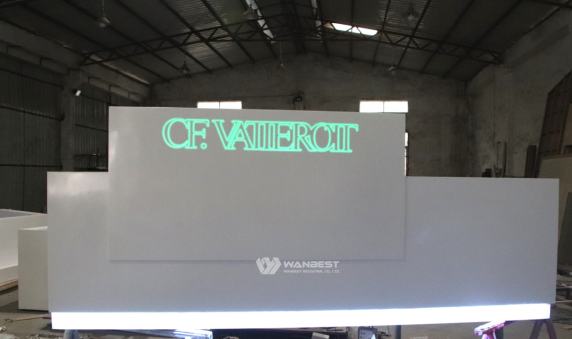 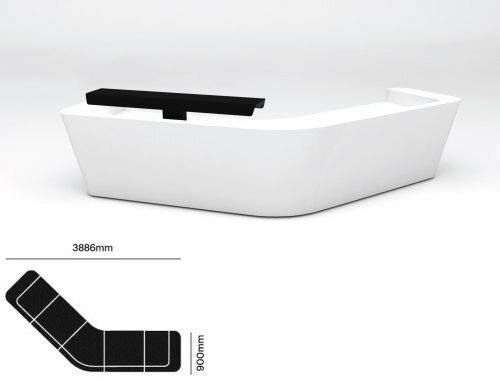 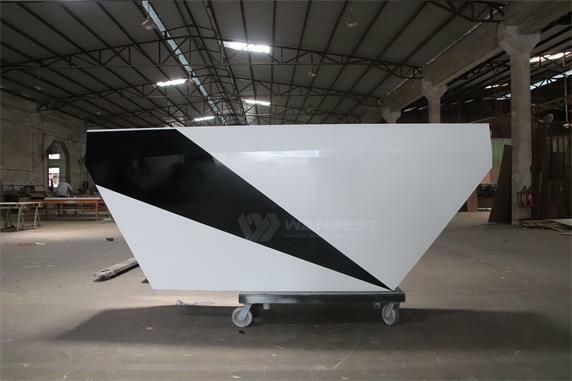 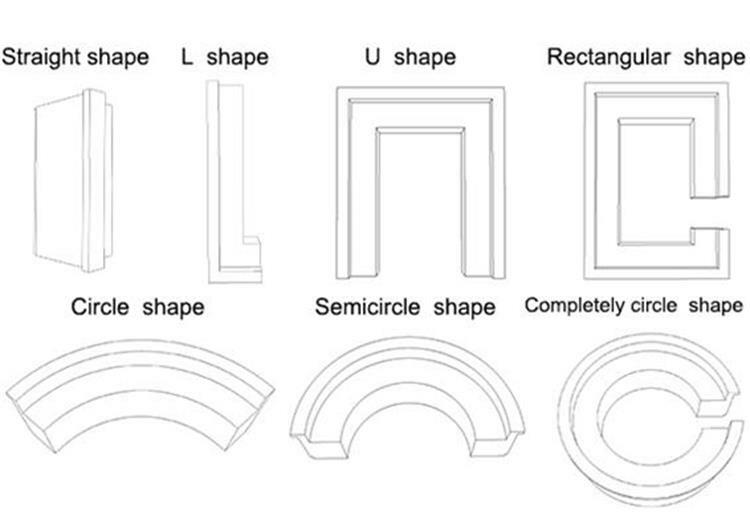 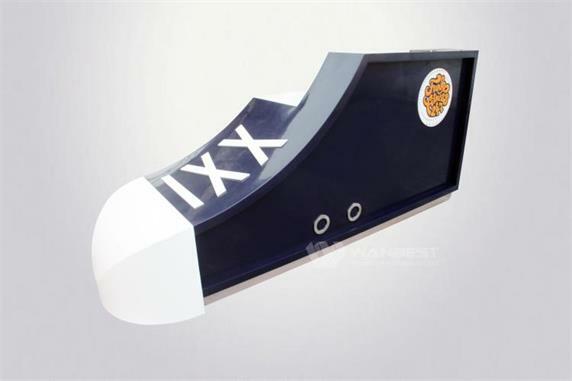 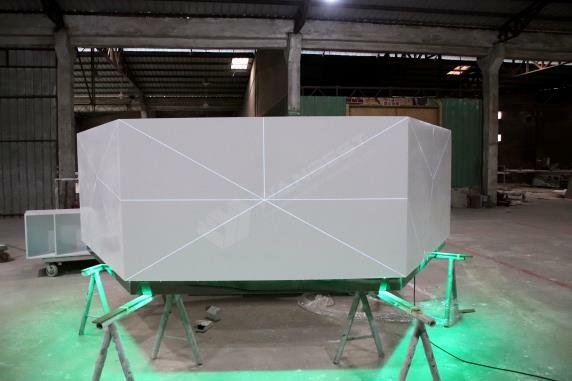 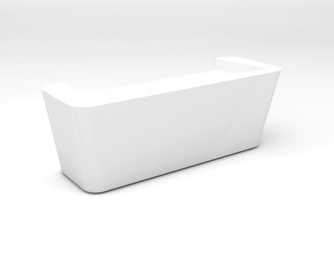 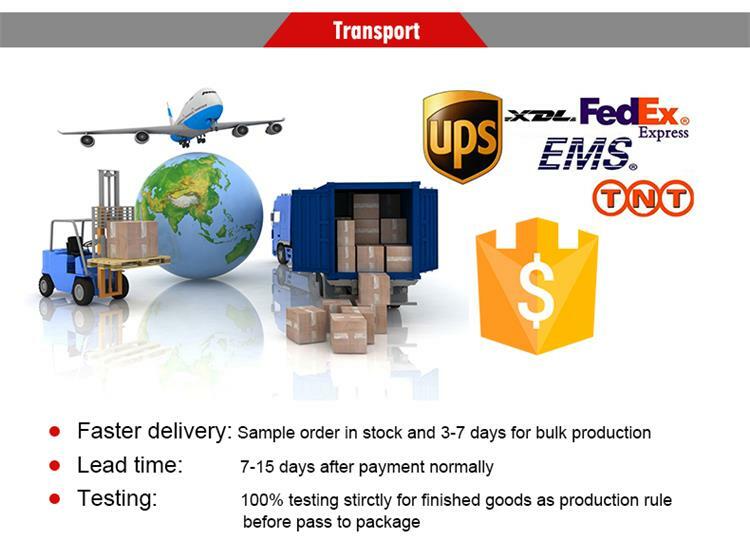 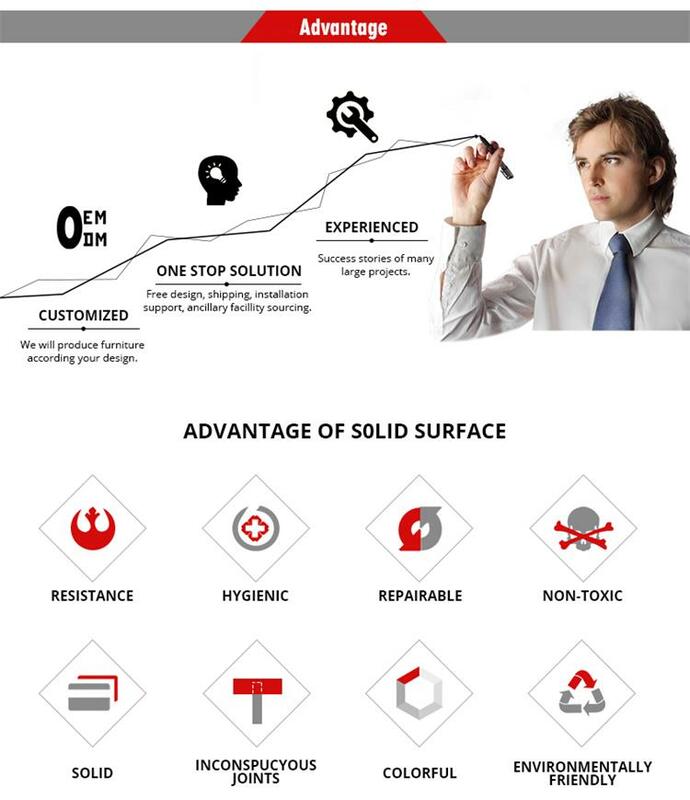 We have excellent designers, we can design a satisfactory product for you.What shape do you like?